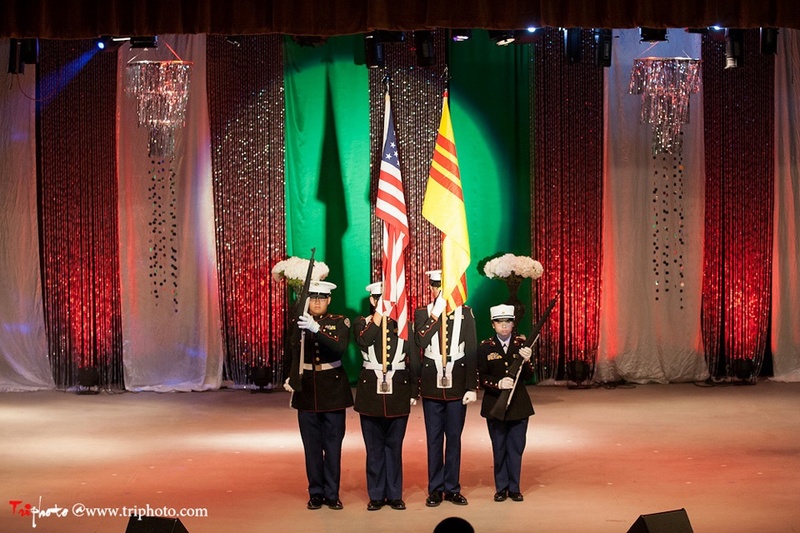 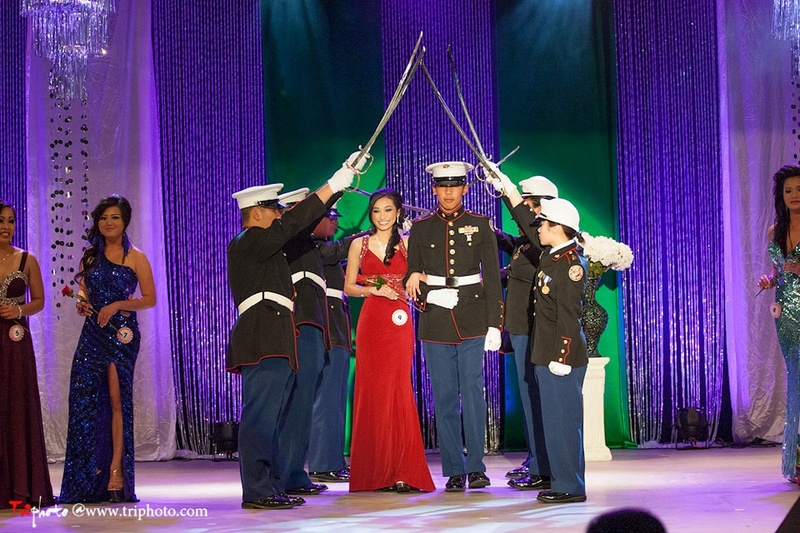 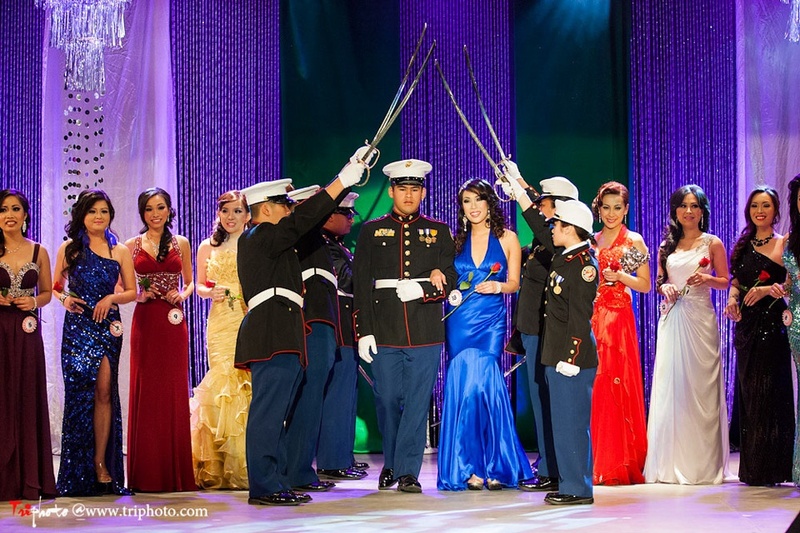 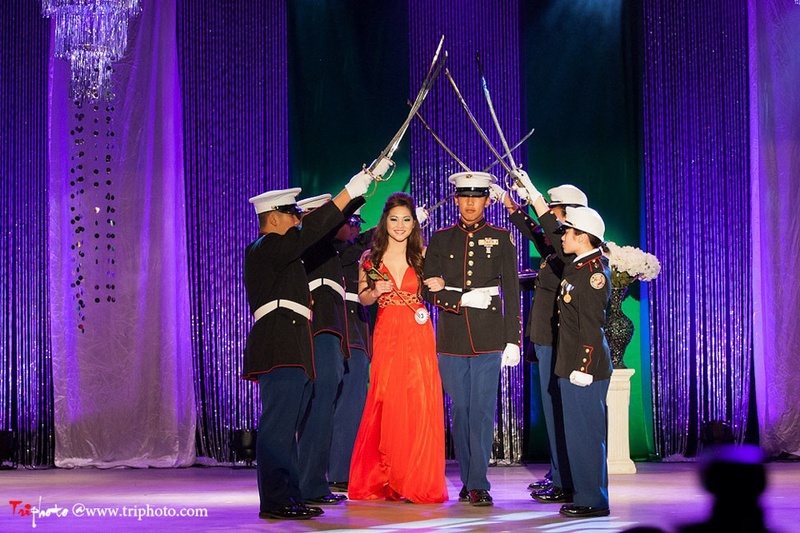 The Mount Pleasant Marine Junior ROTC Color Guard. 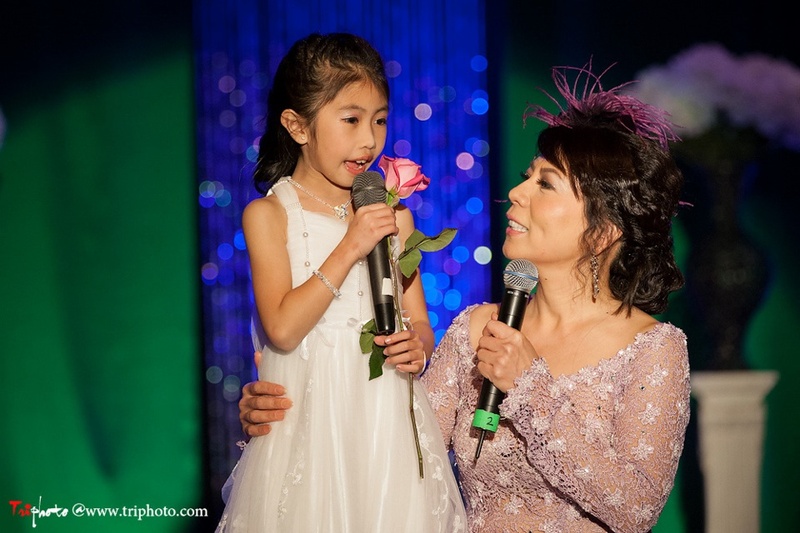 Singer Nguyen Hoang Nguyen and Hoa-Hau Ao-Dai 2006 Virginia Quynh Nhu sing a duet. 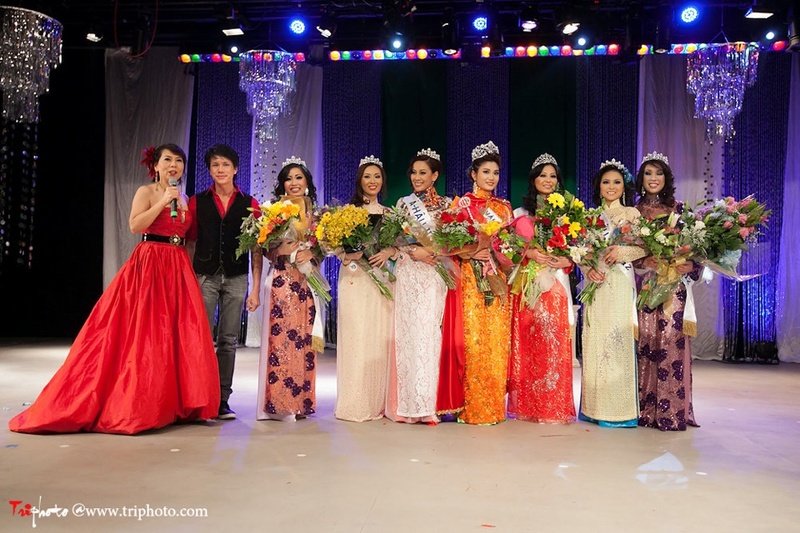 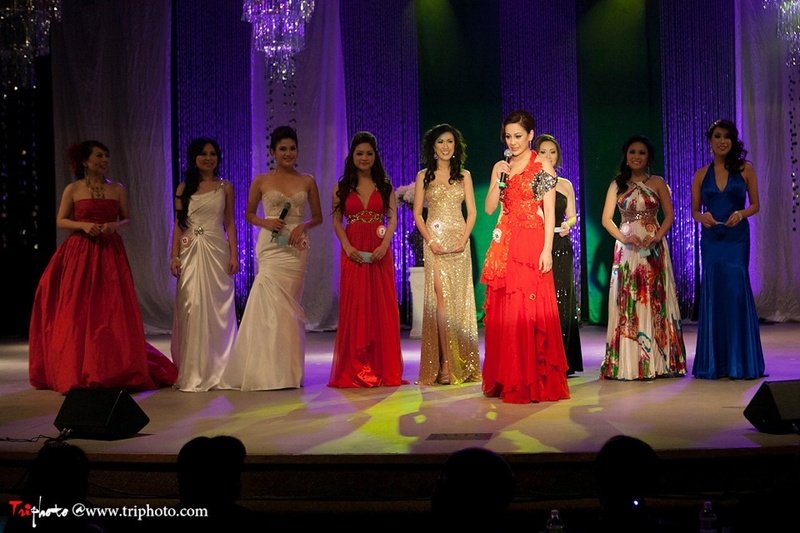 Here we have the Top 8 Finalists. 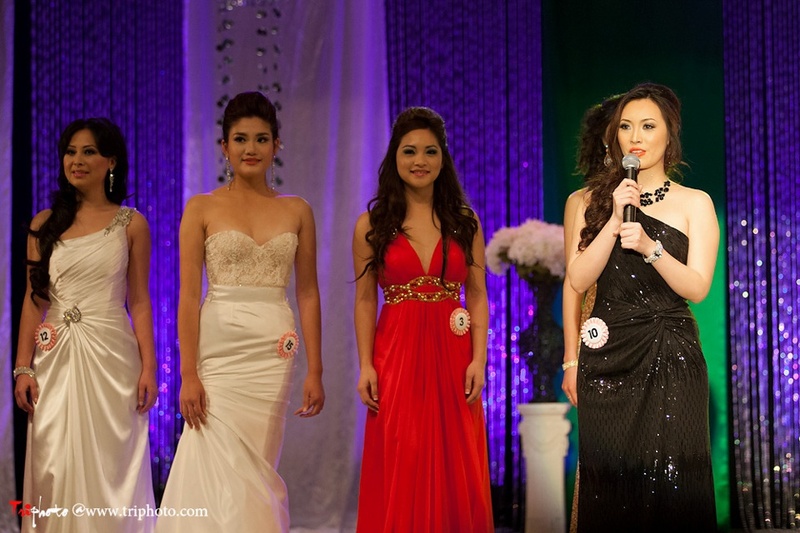 In this round, each contestant answers one of eight different questions, in which they pick by random. 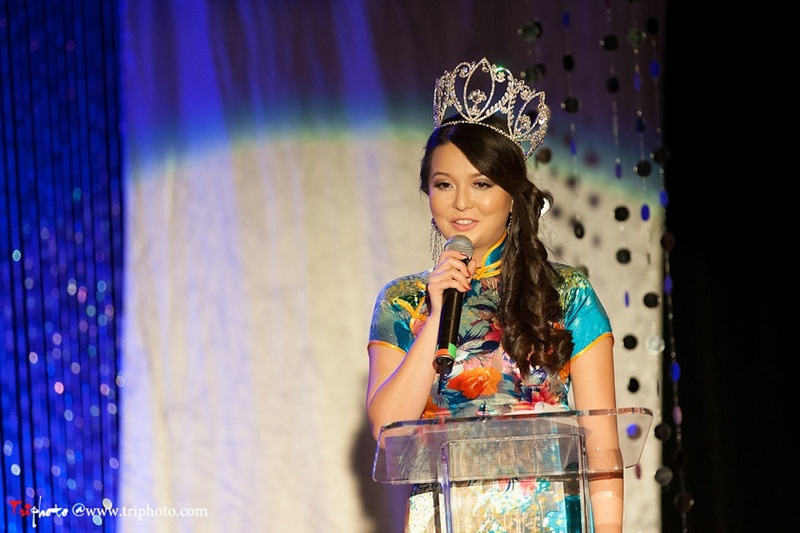 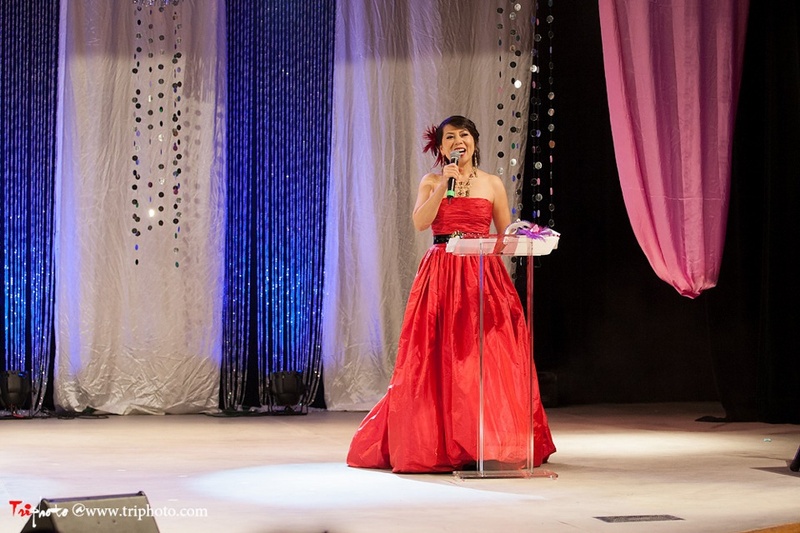 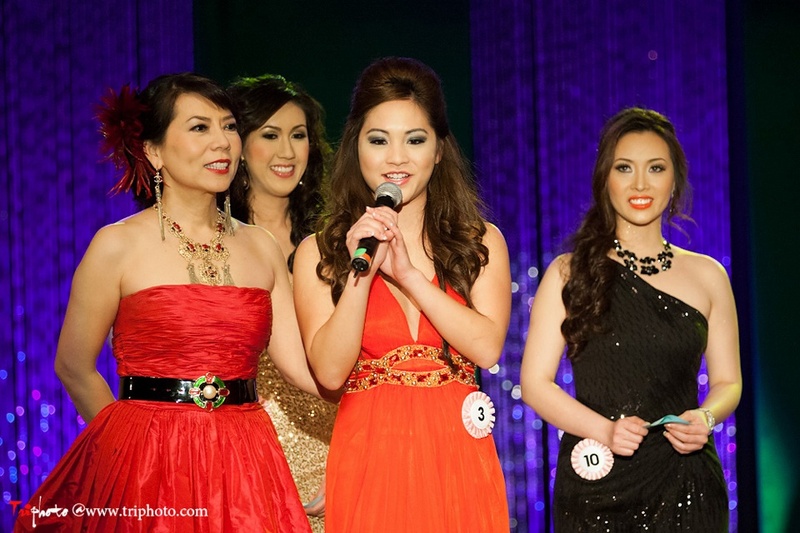 Lauren Bich Dao (contestant #12) goes first in answering her question. 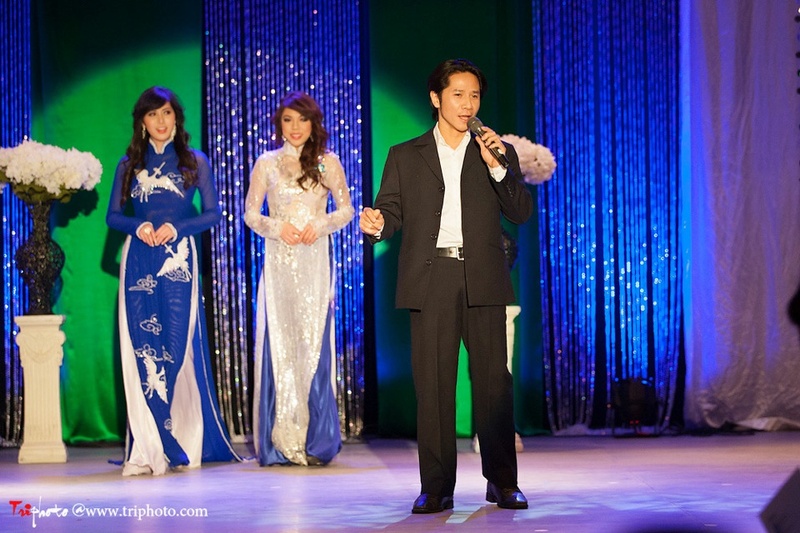 Hansen Vu Hien reads off the question. 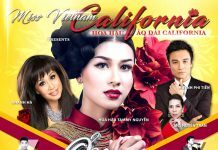 Hoa-Hau Ao-Dai Bac Cali 2011 Holly Huynh waves farewall. 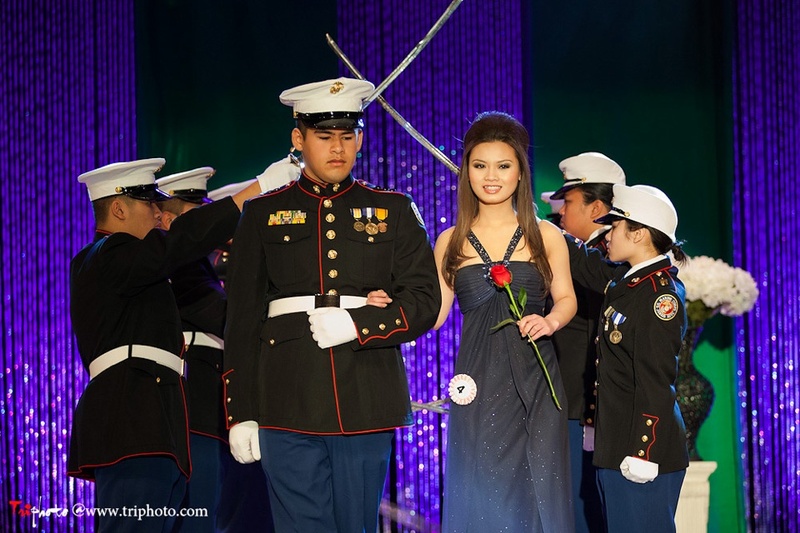 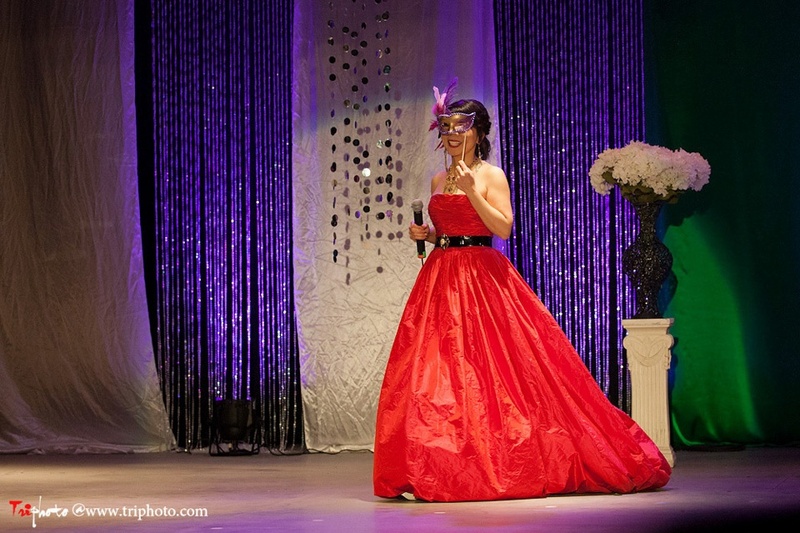 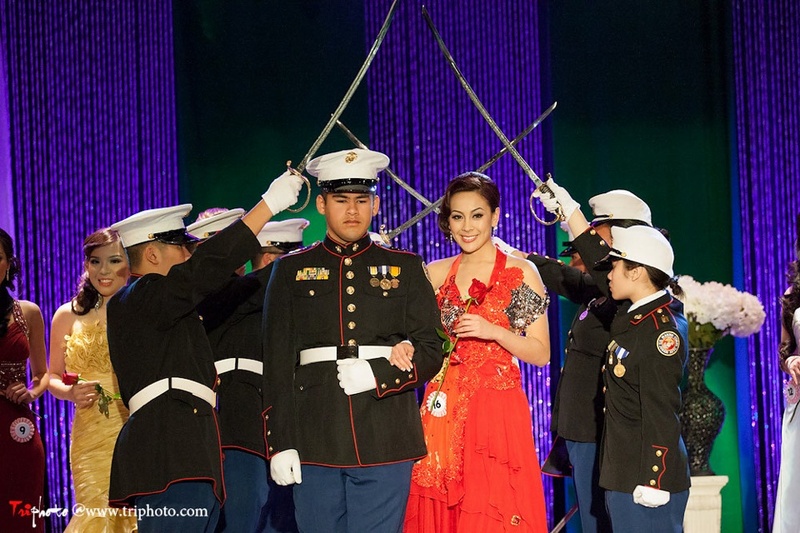 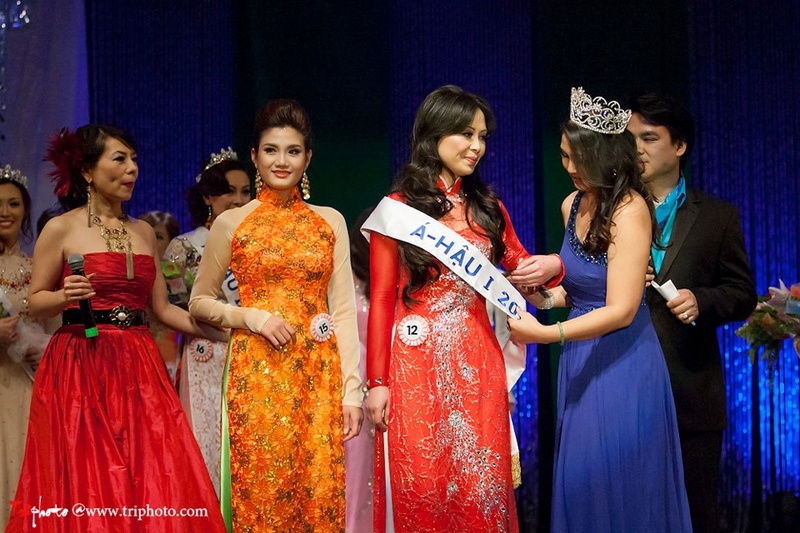 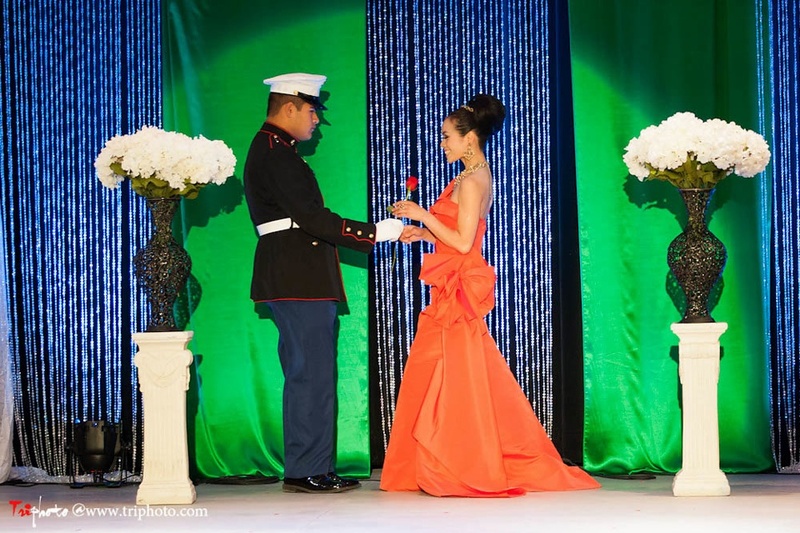 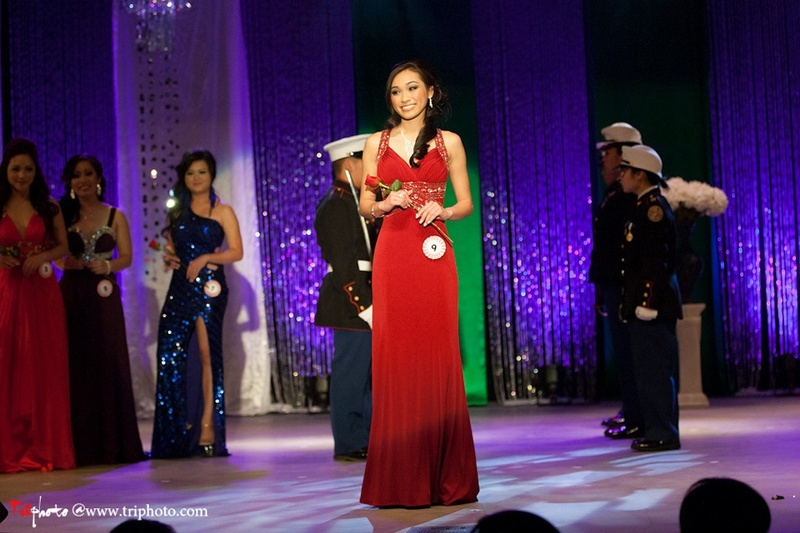 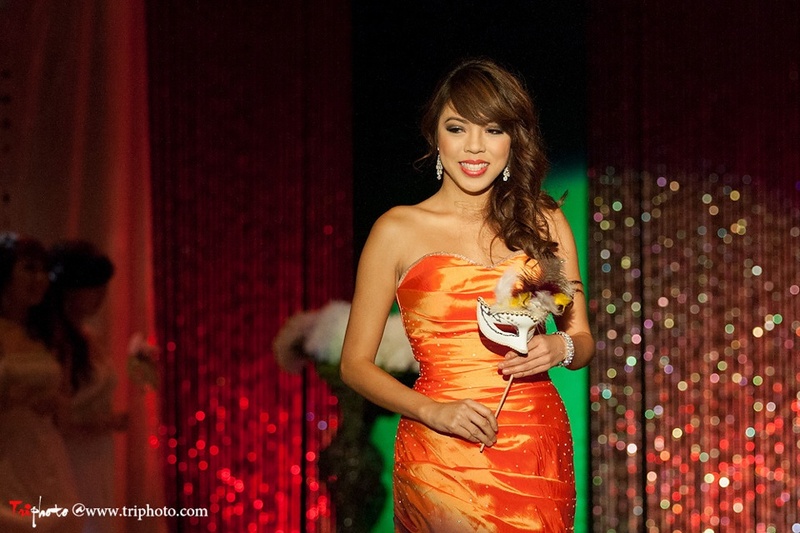 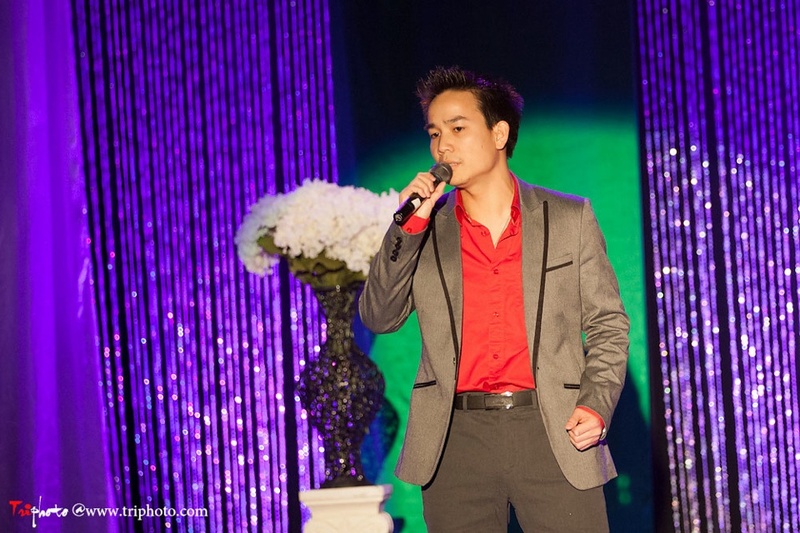 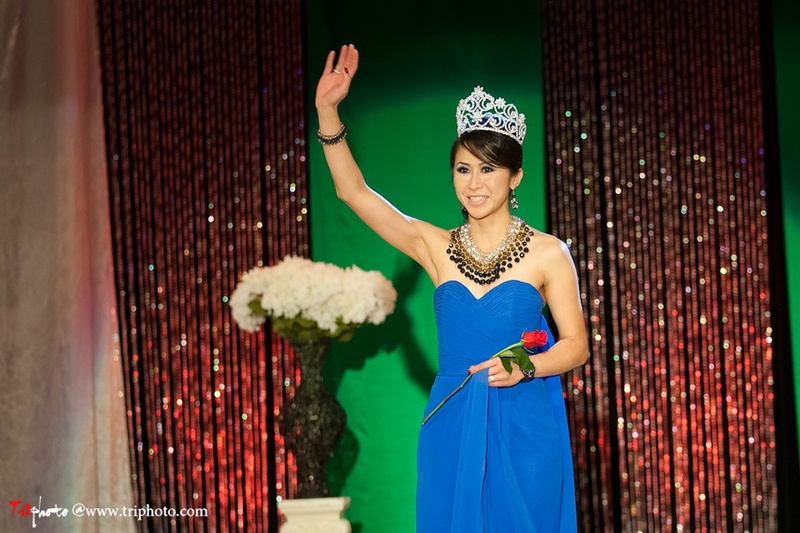 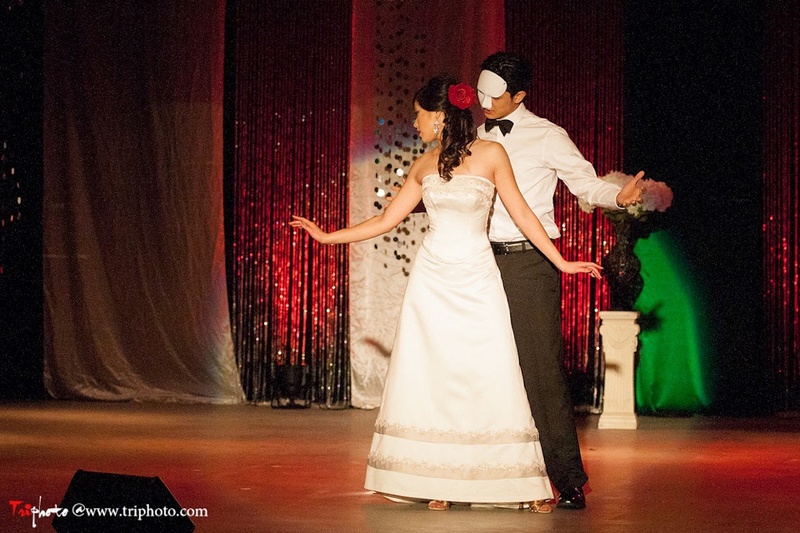 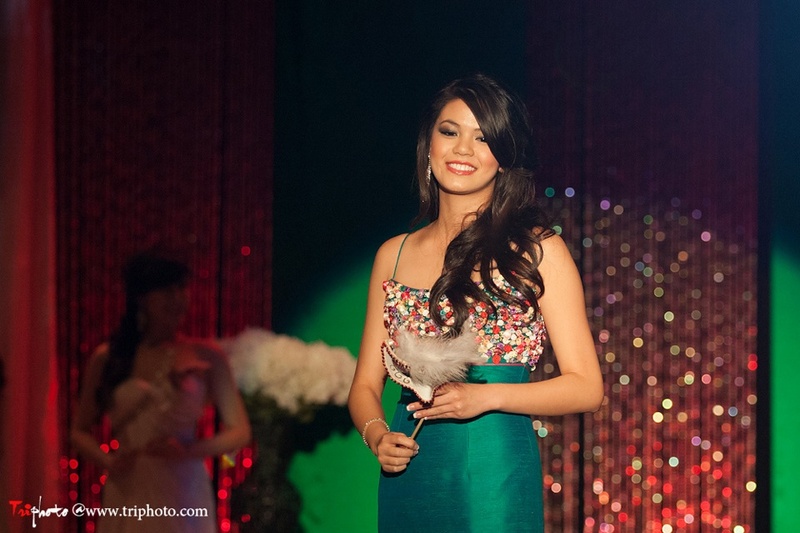 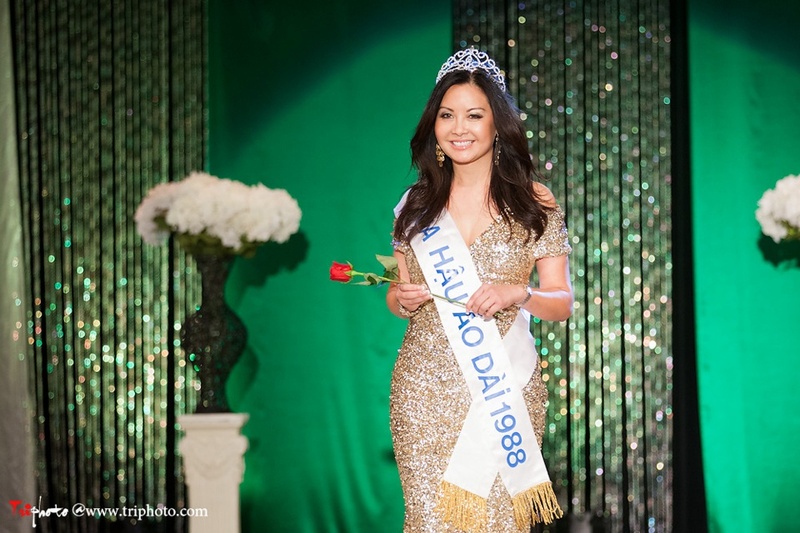 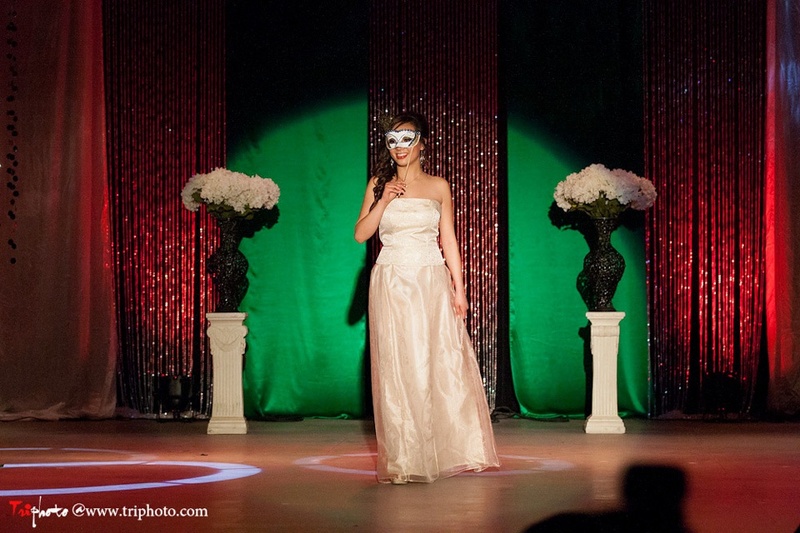 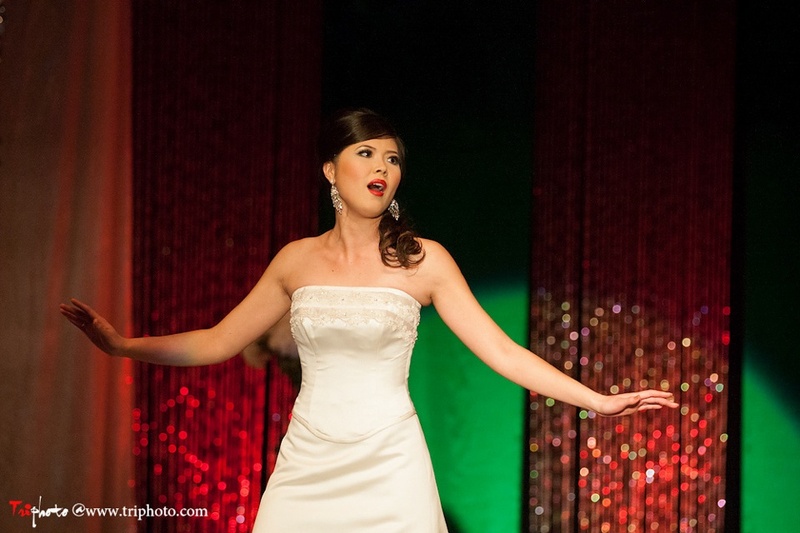 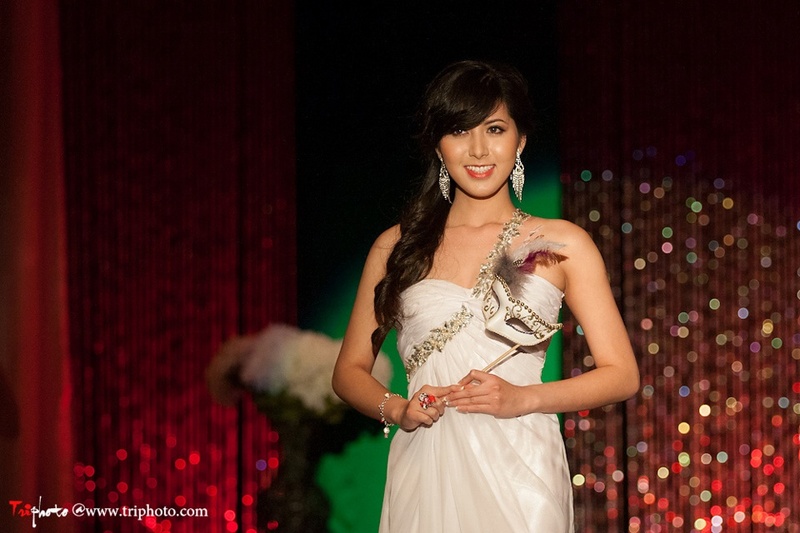 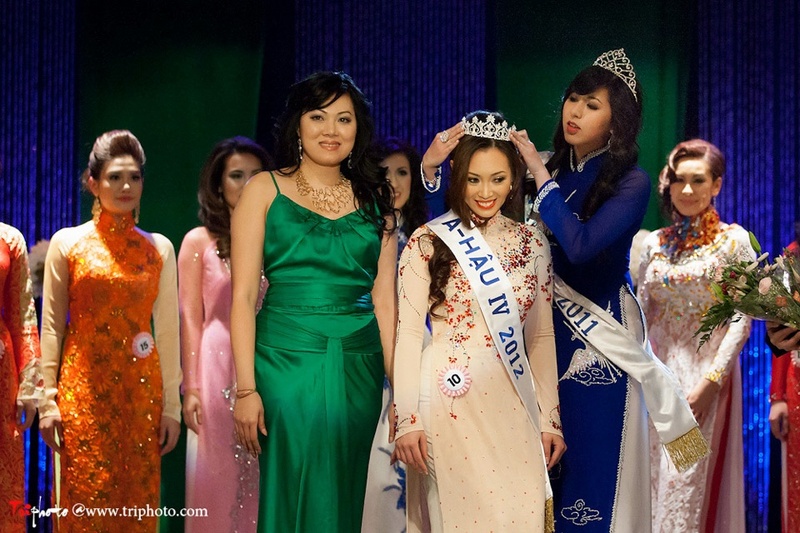 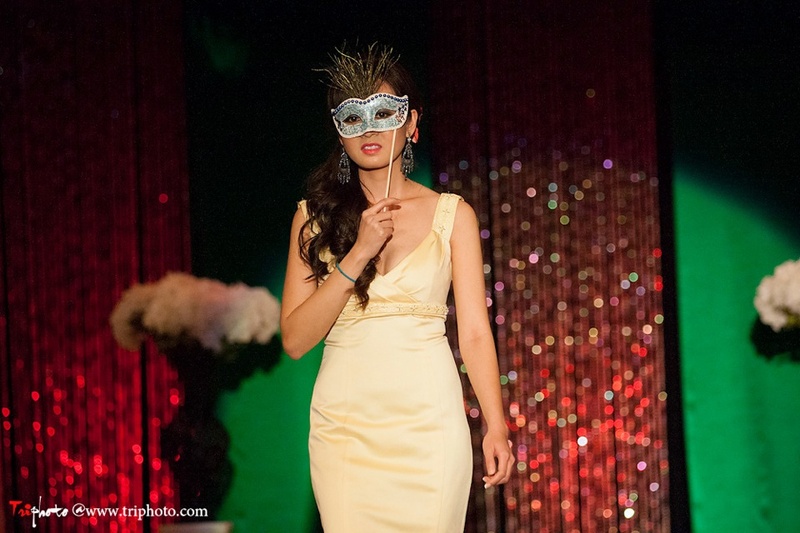 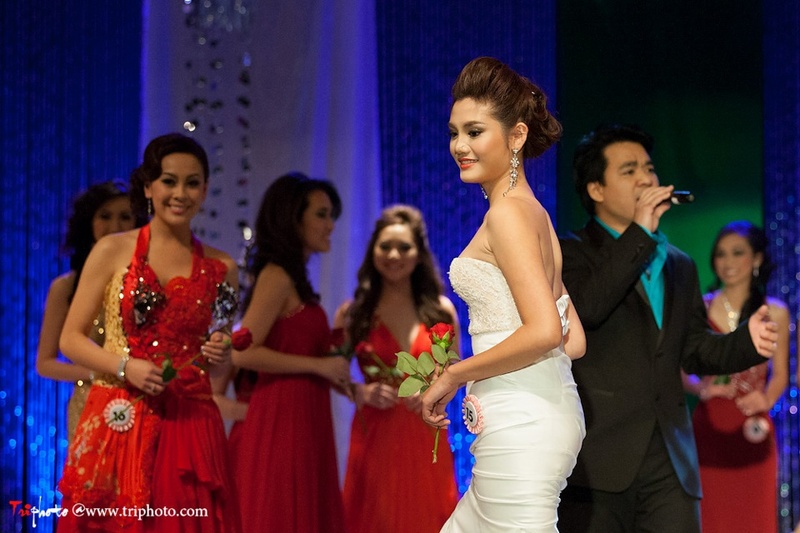 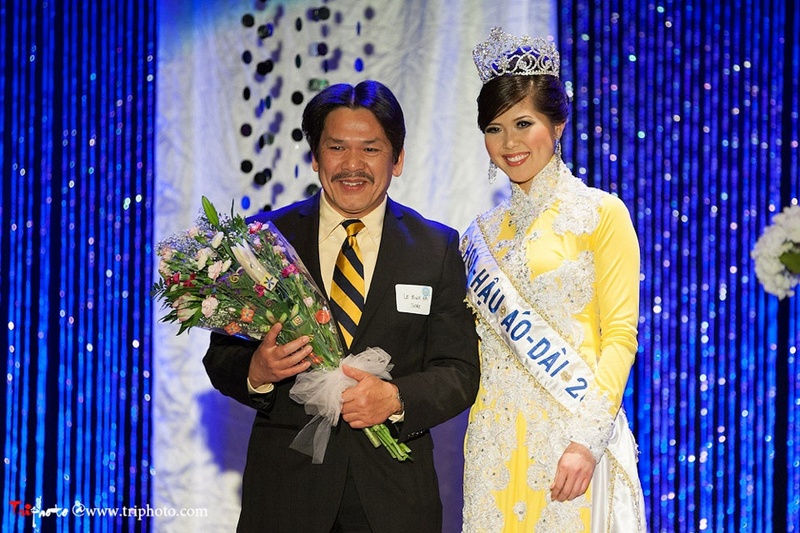 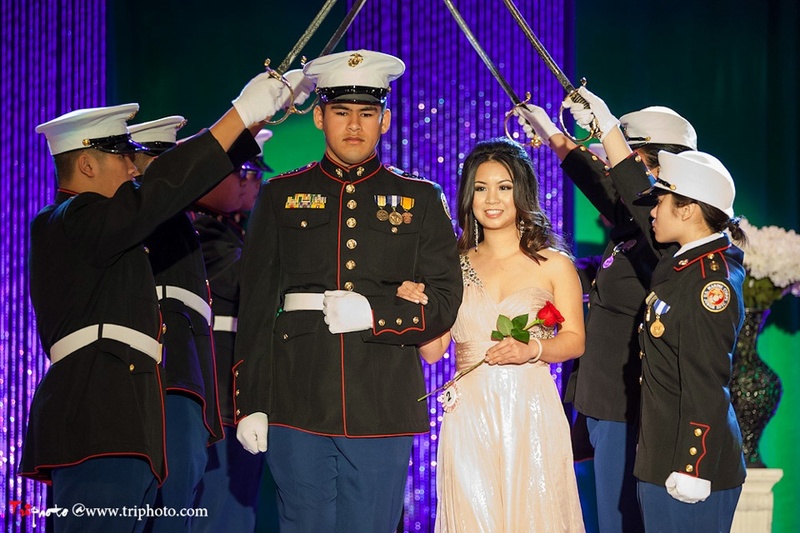 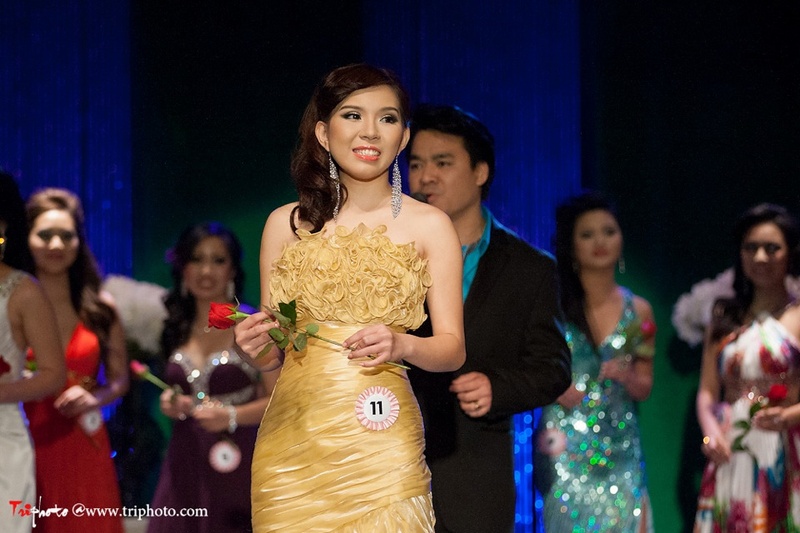 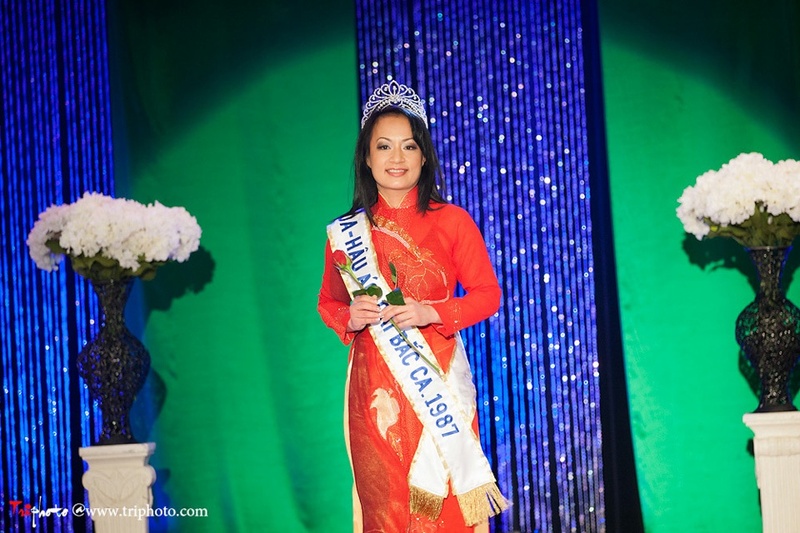 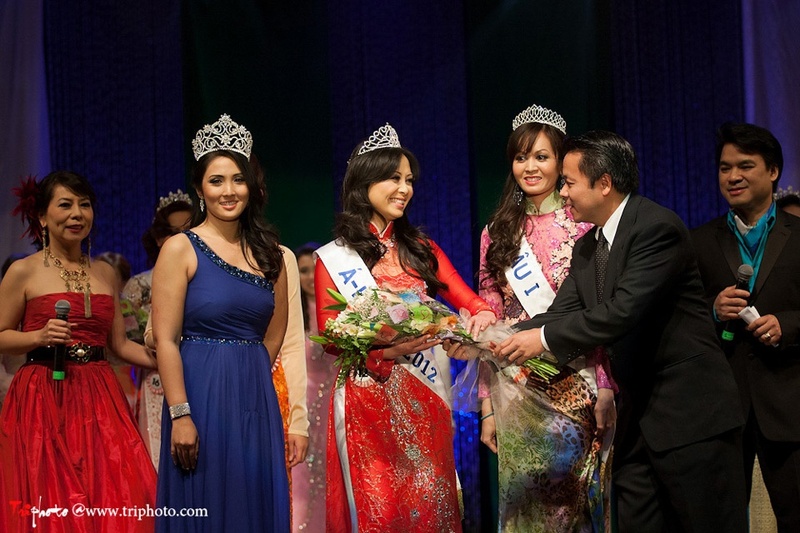 Le Tran (contestant #6) is our new A-Hau III 2012. 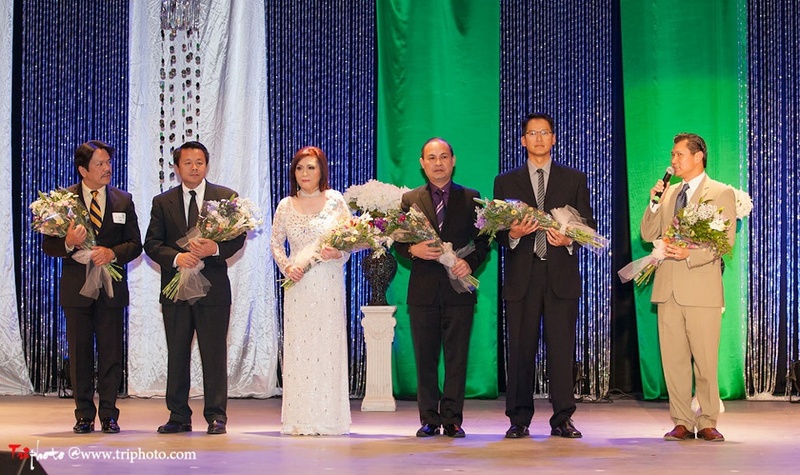 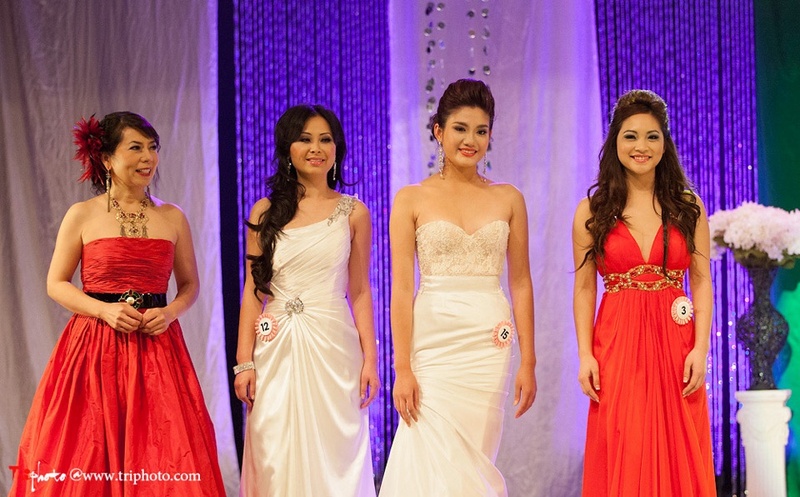 Two finalist contestants are left. 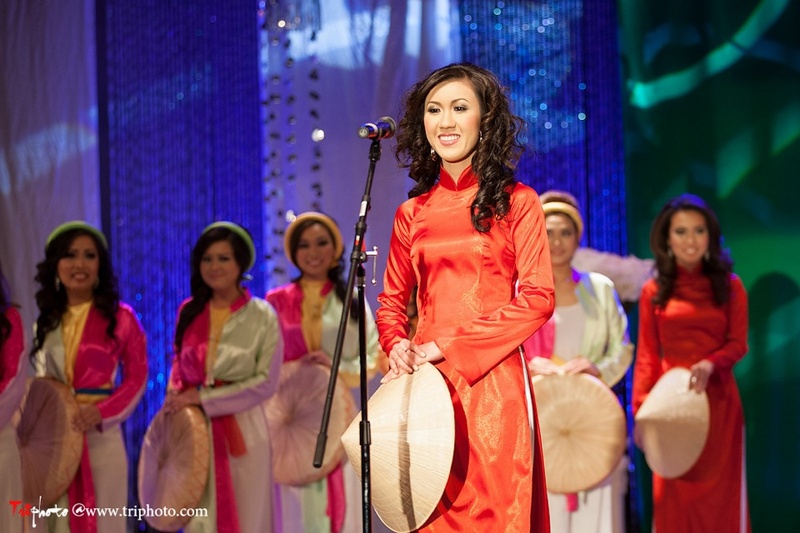 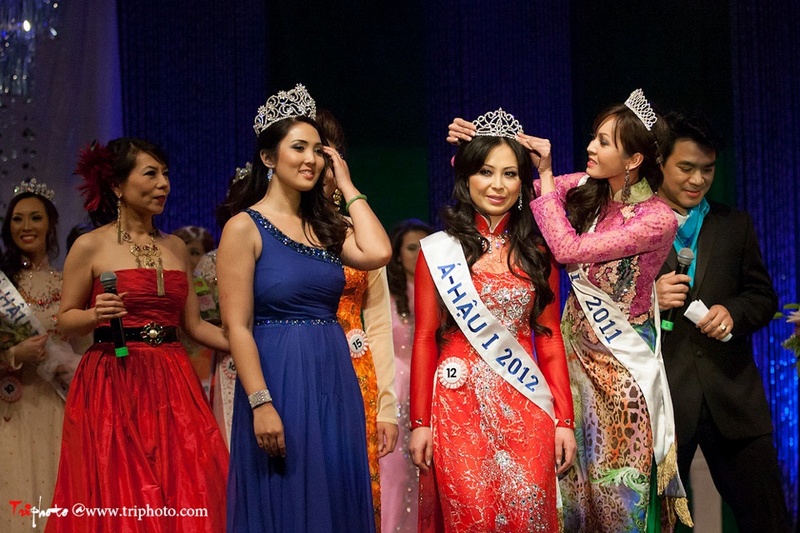 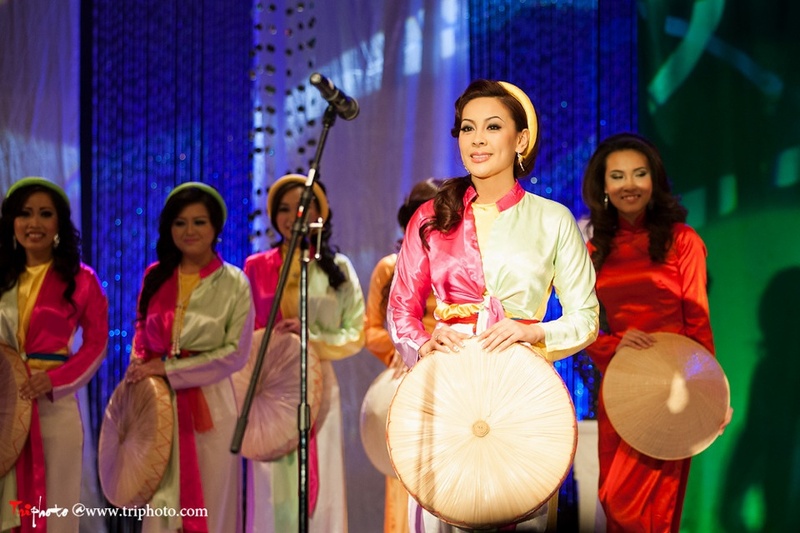 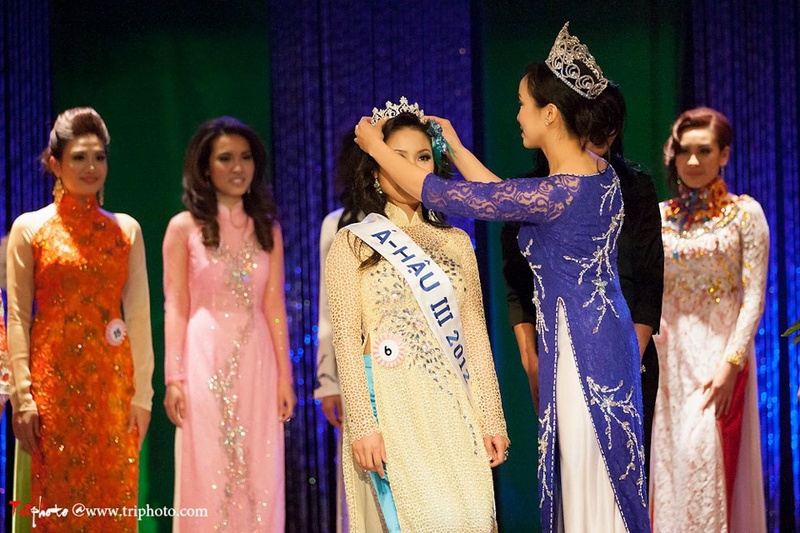 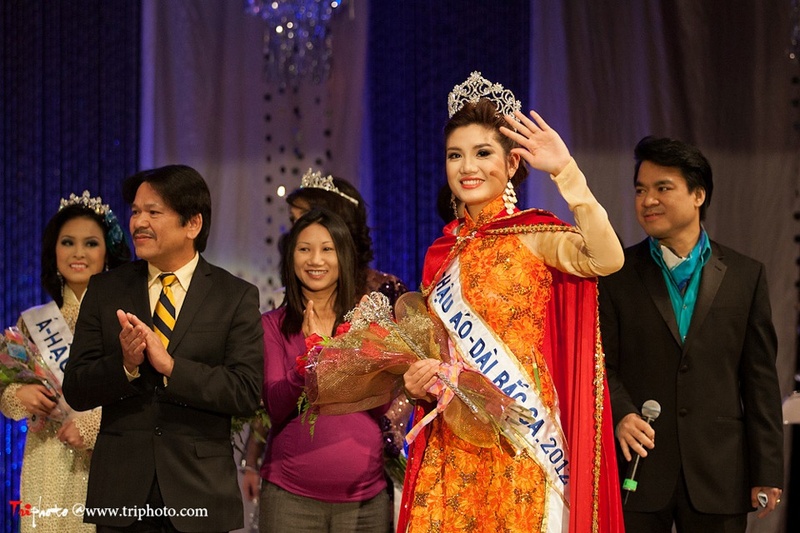 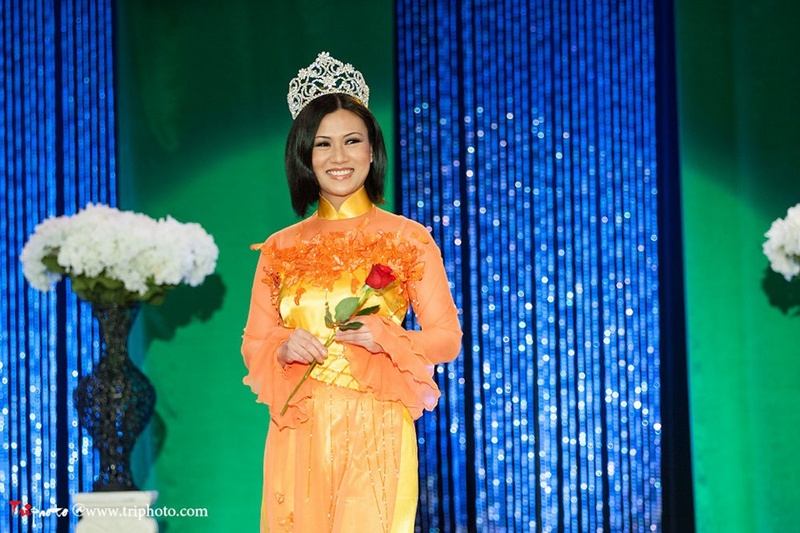 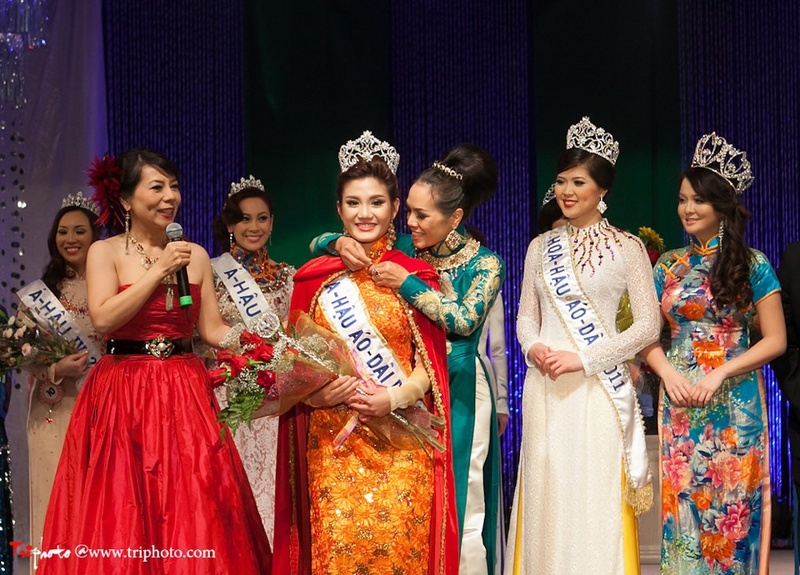 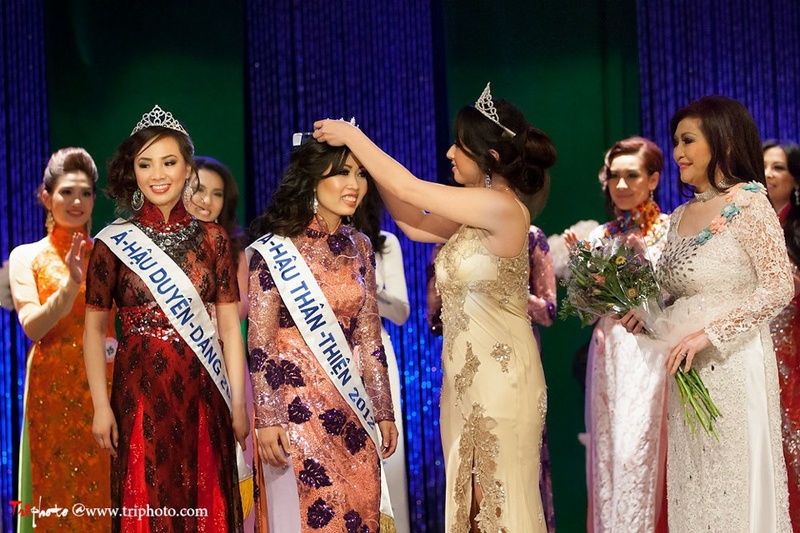 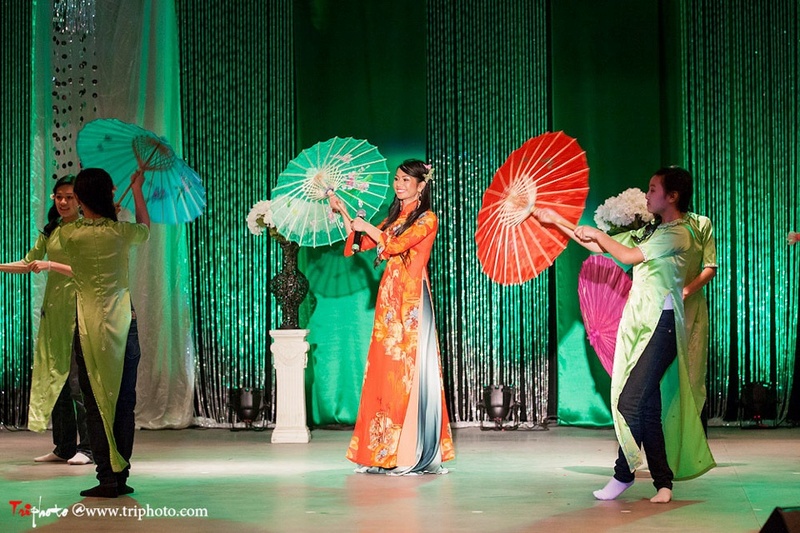 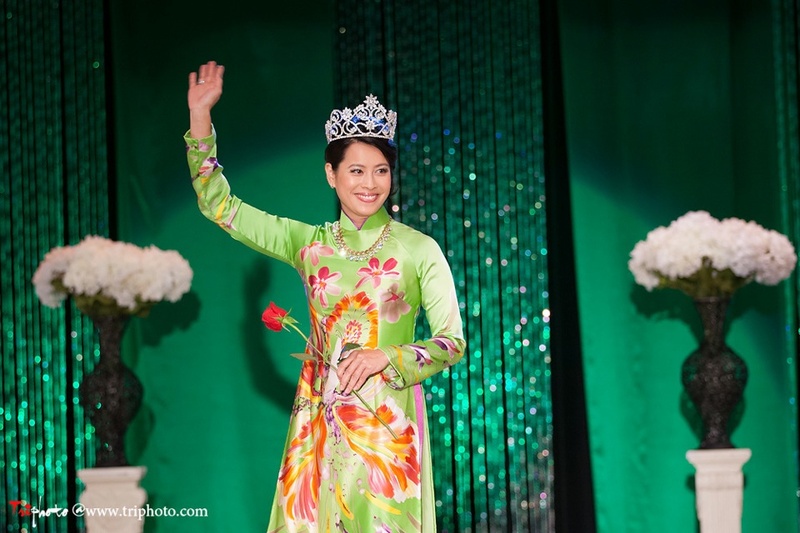 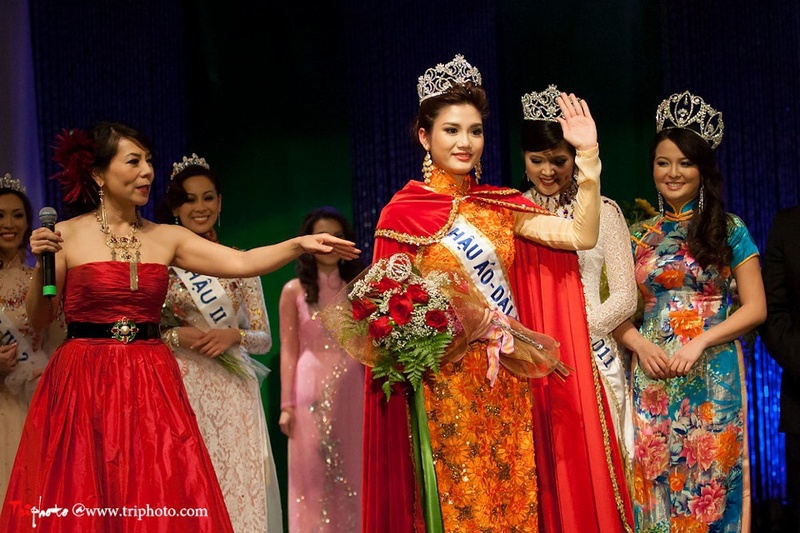 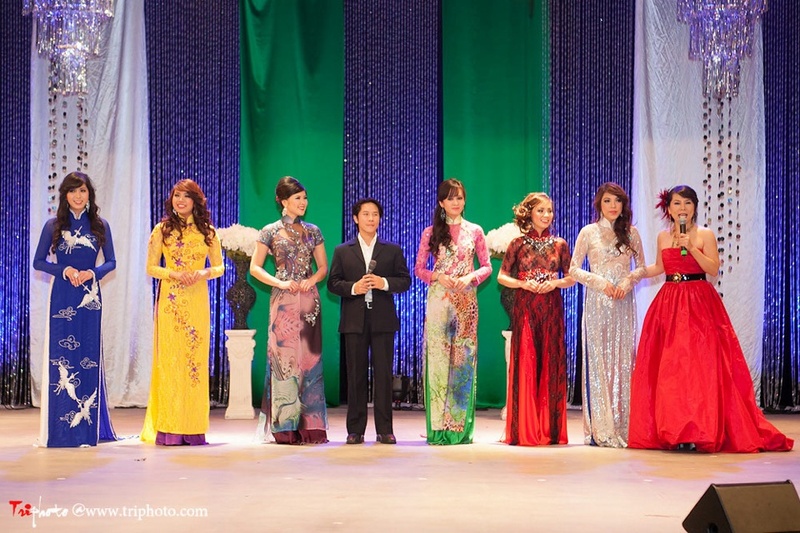 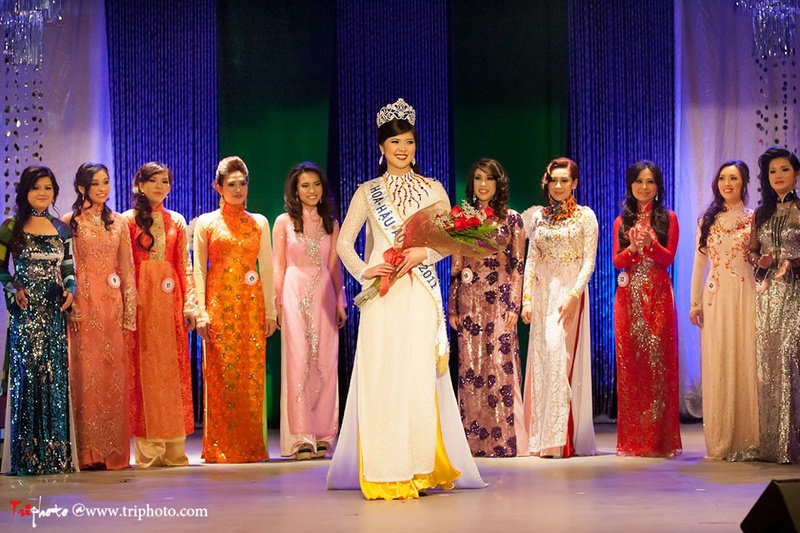 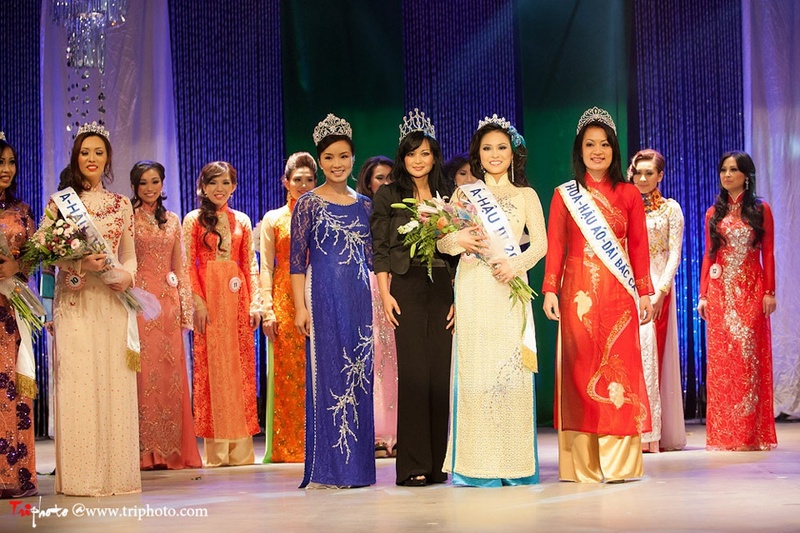 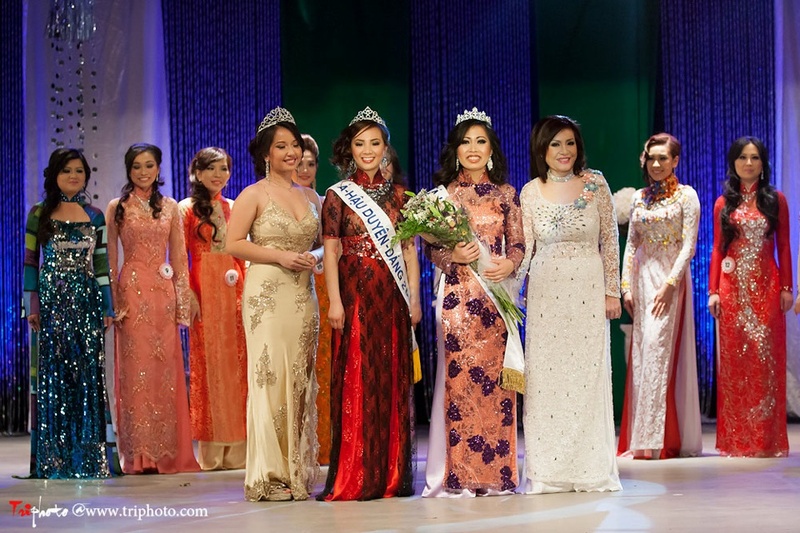 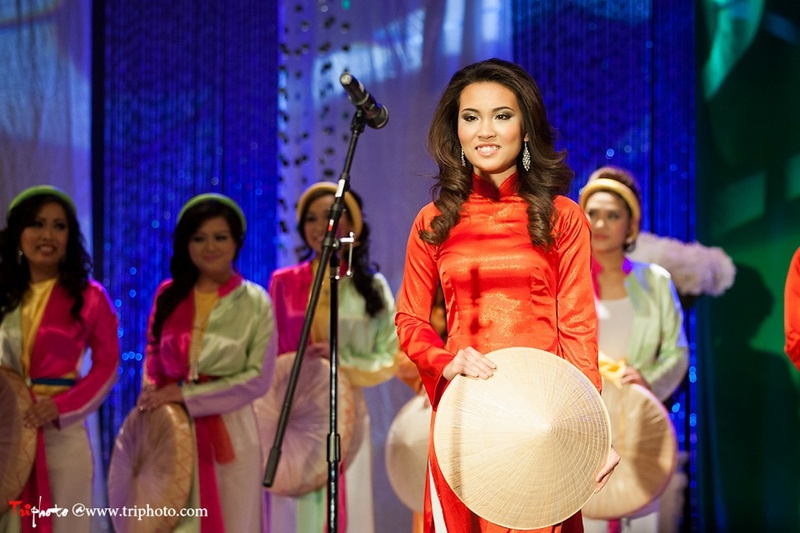 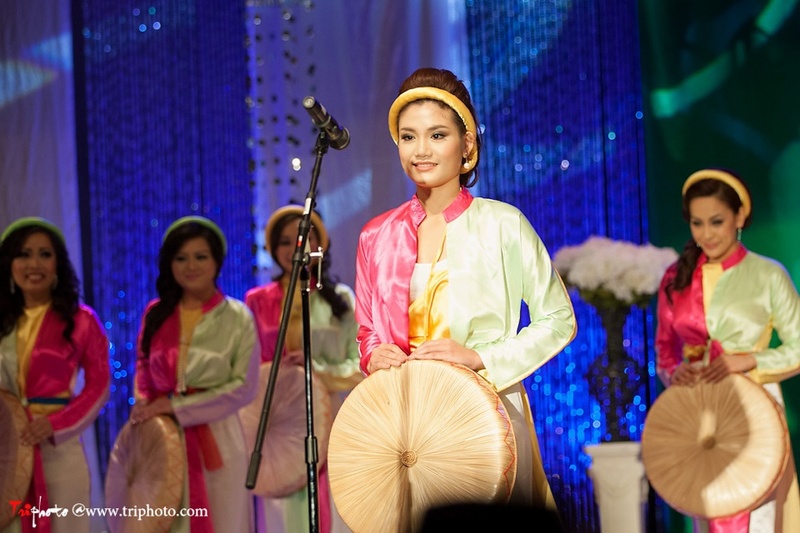 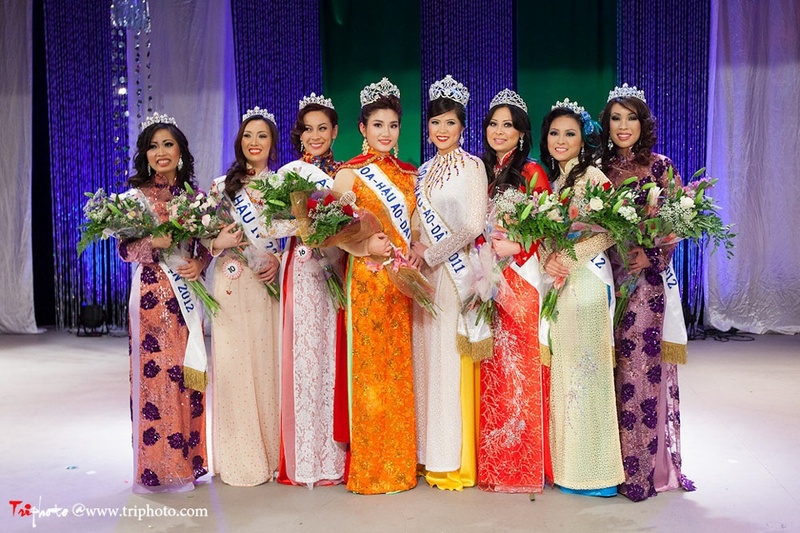 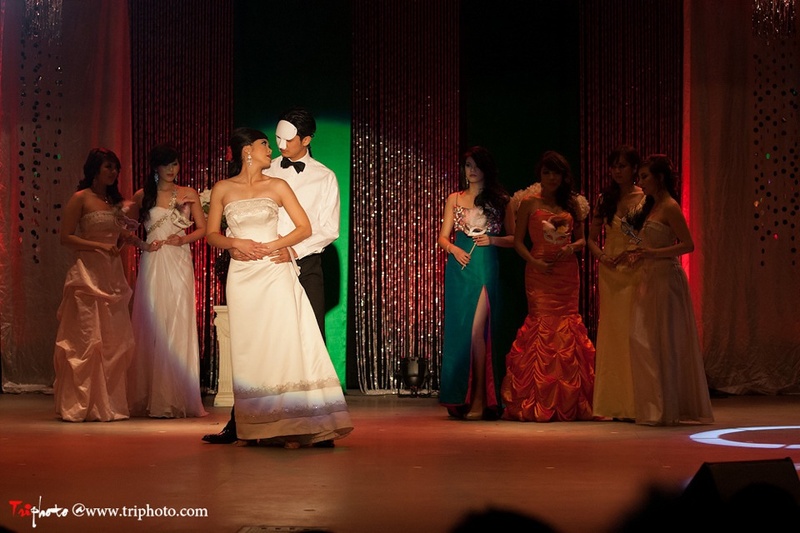 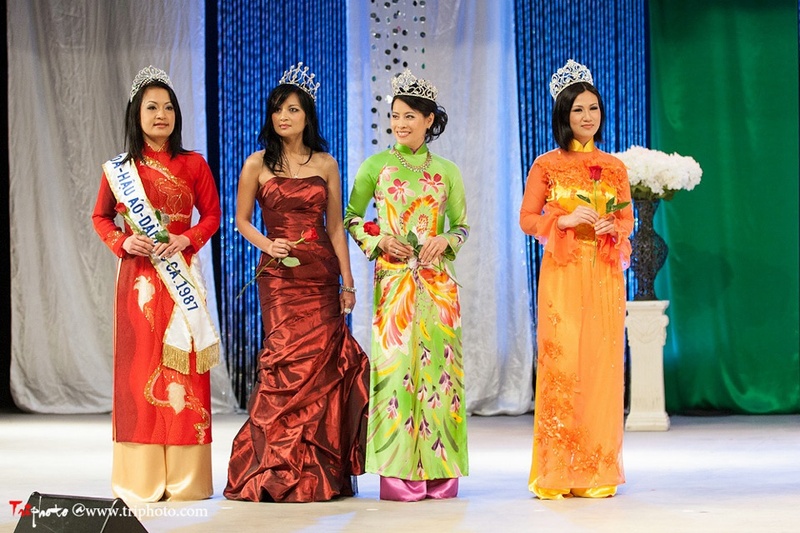 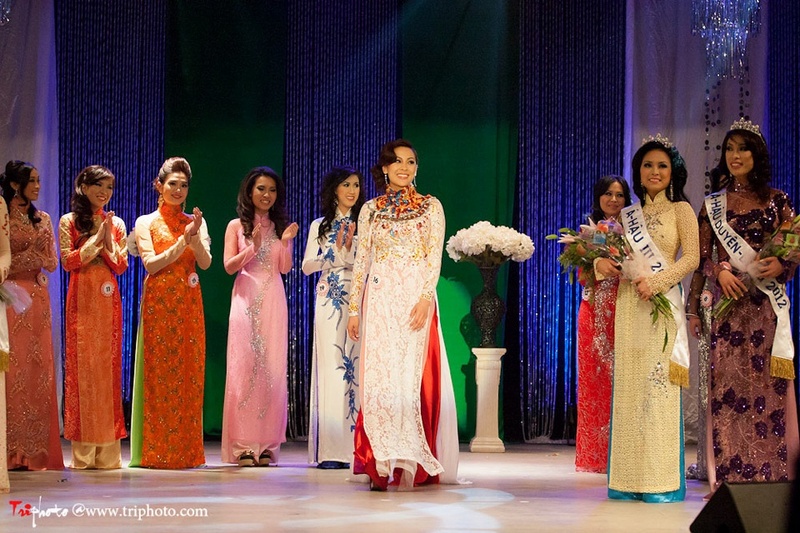 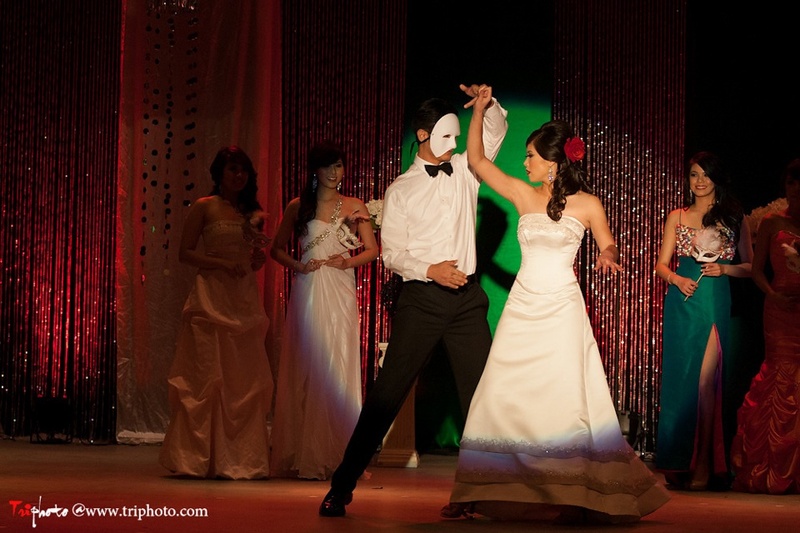 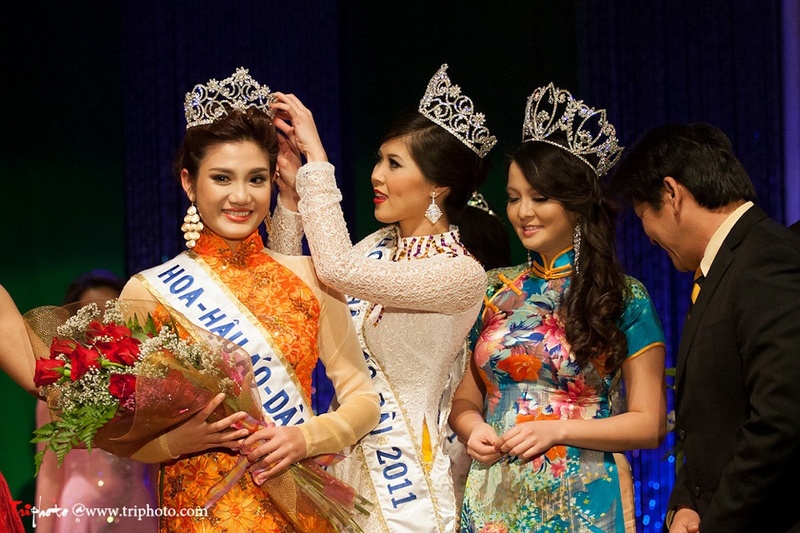 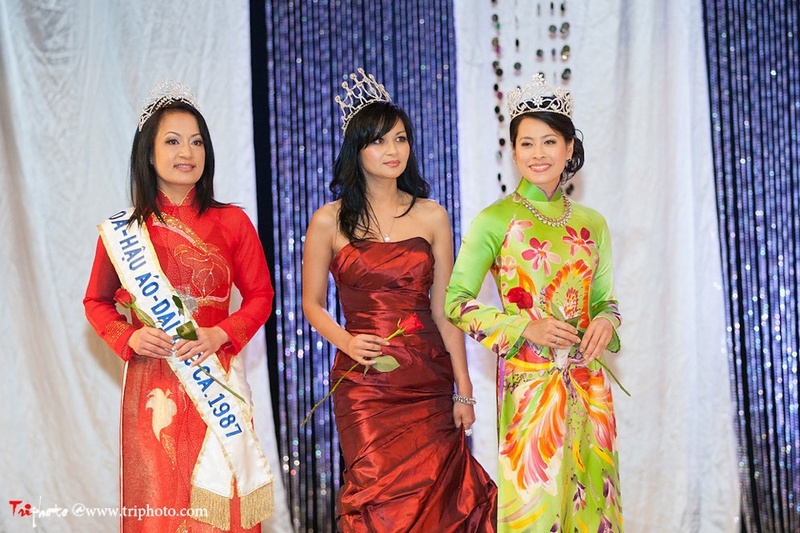 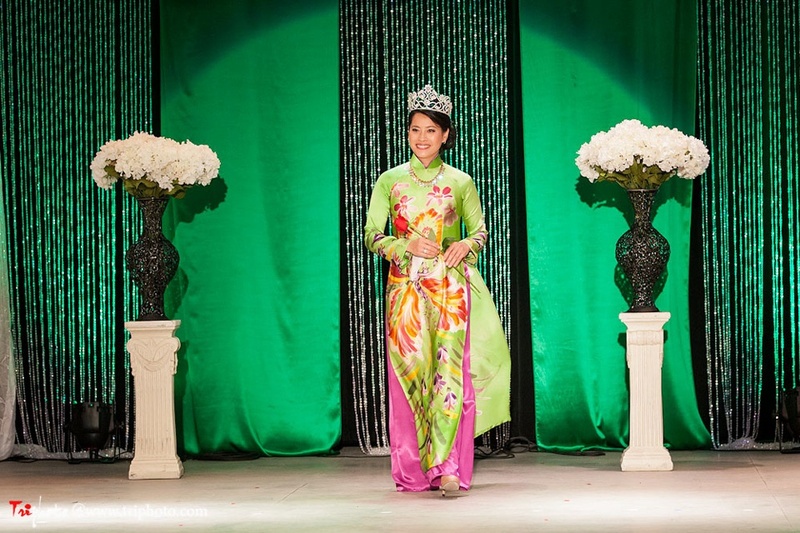 One will be Hoa-Hau Ao-Dai 2012 and the other one will be A-Hau I 2012. 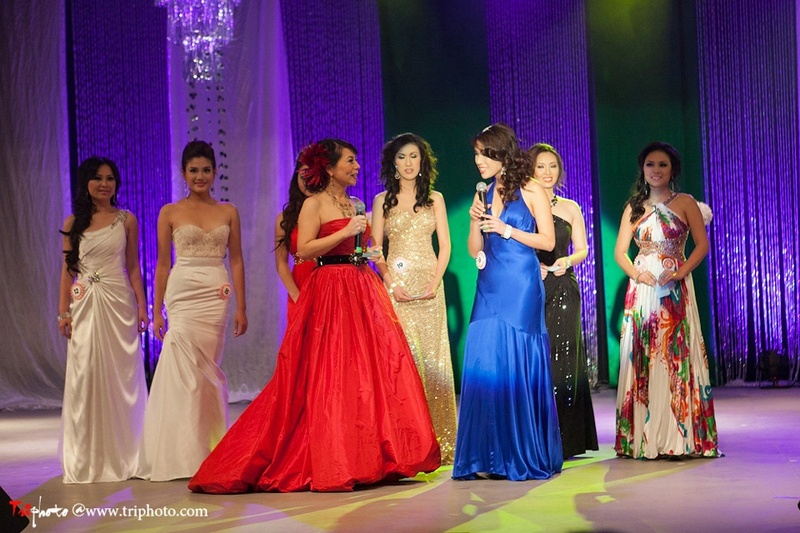 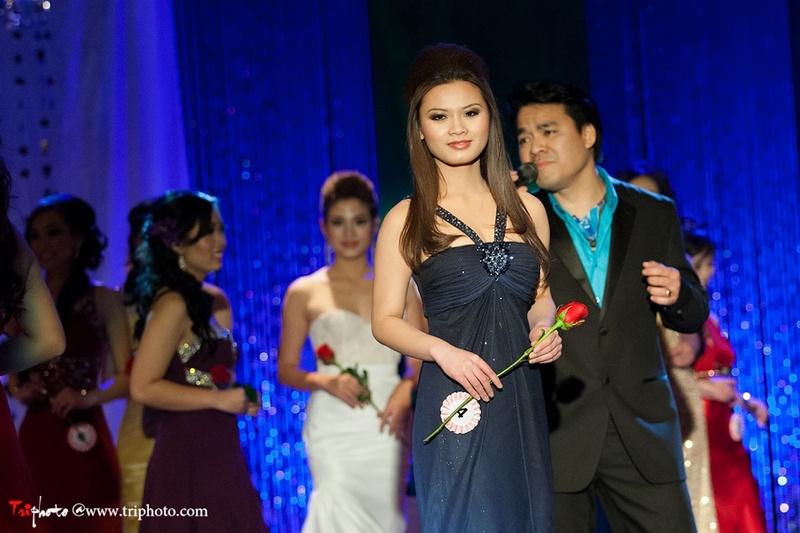 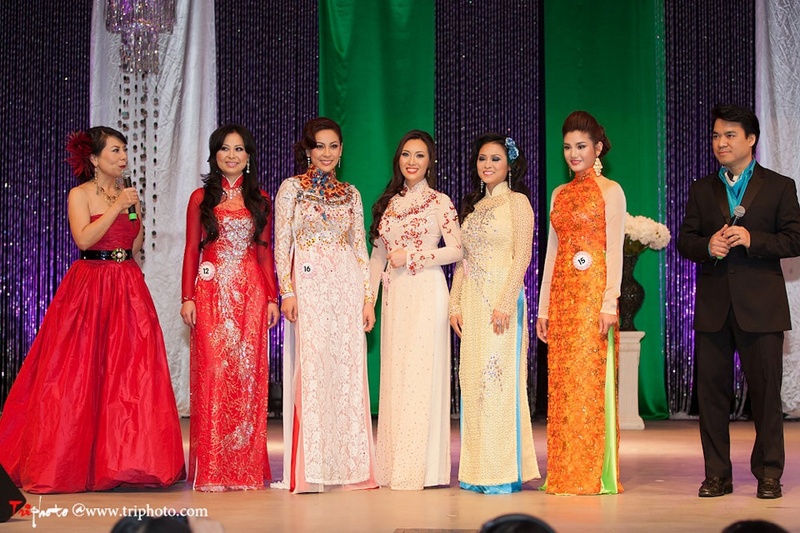 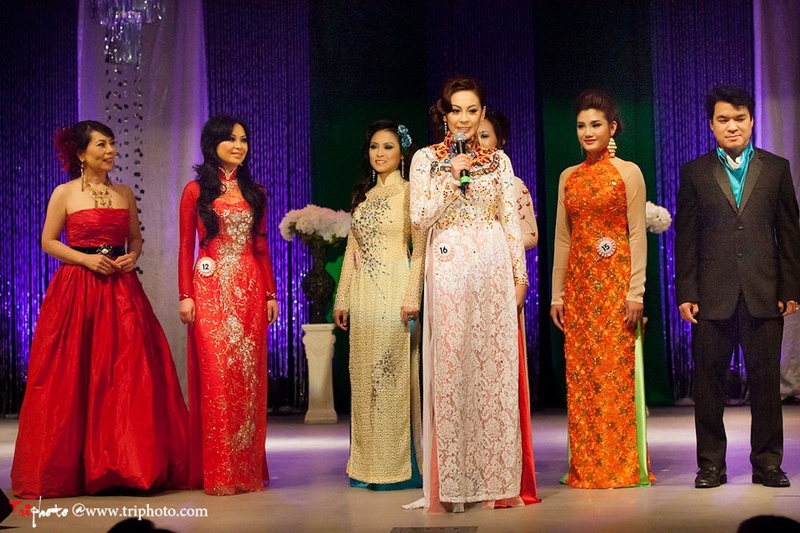 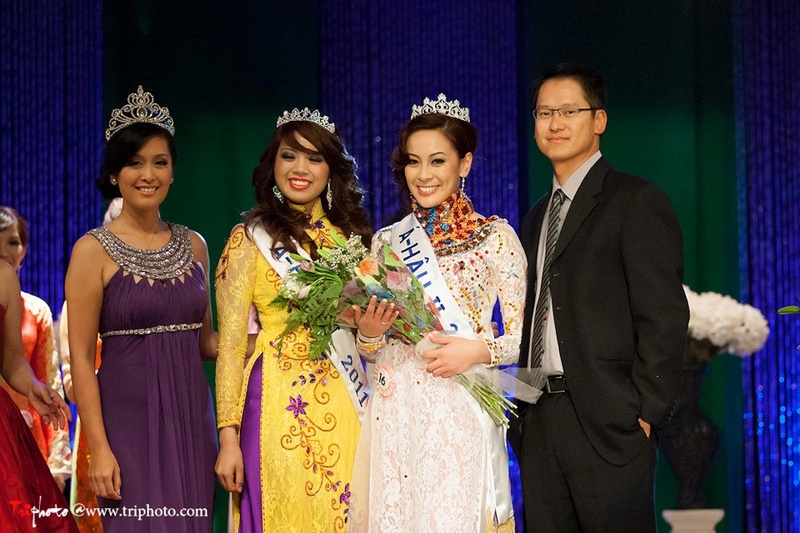 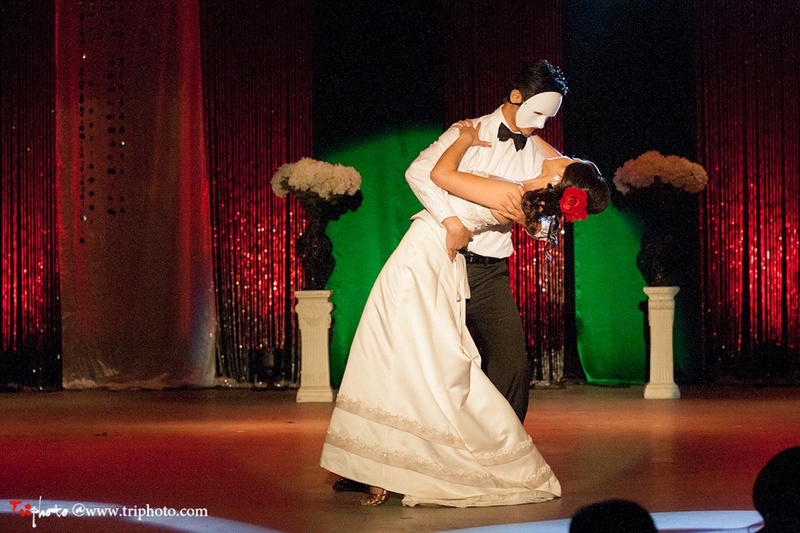 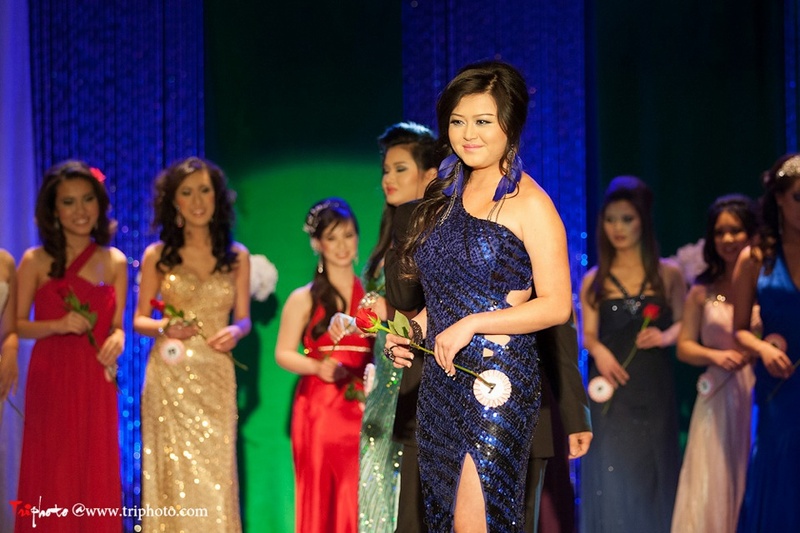 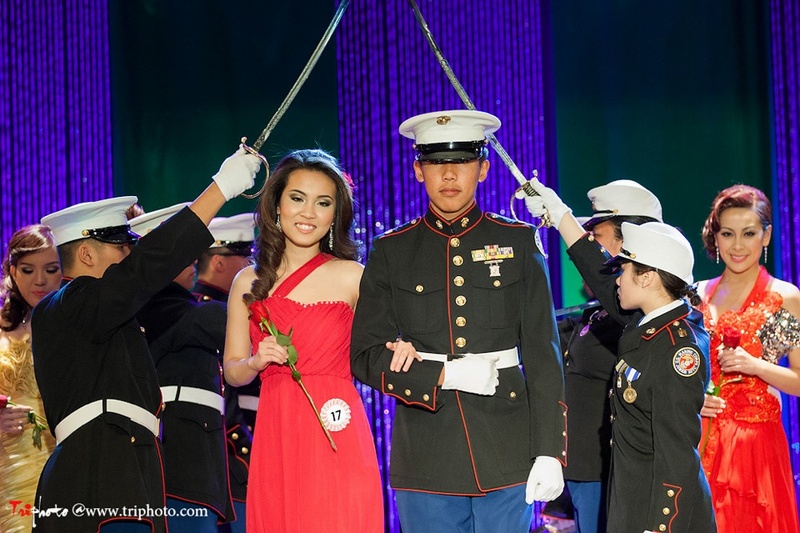 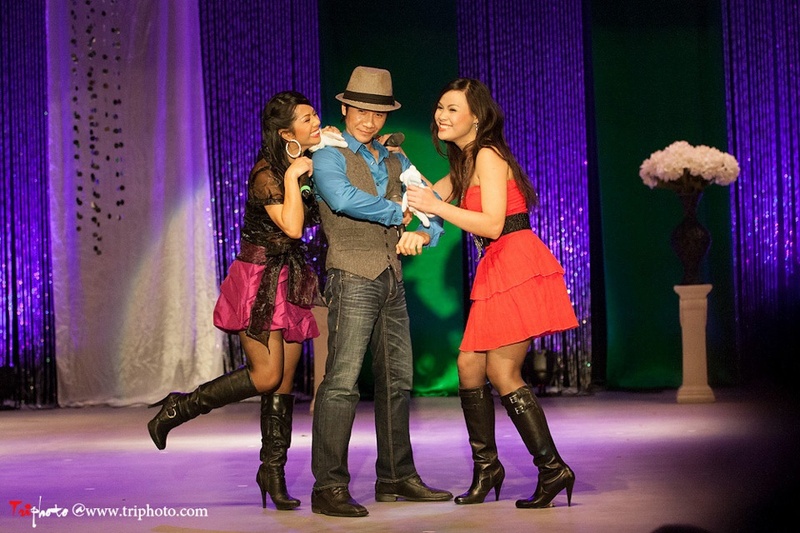 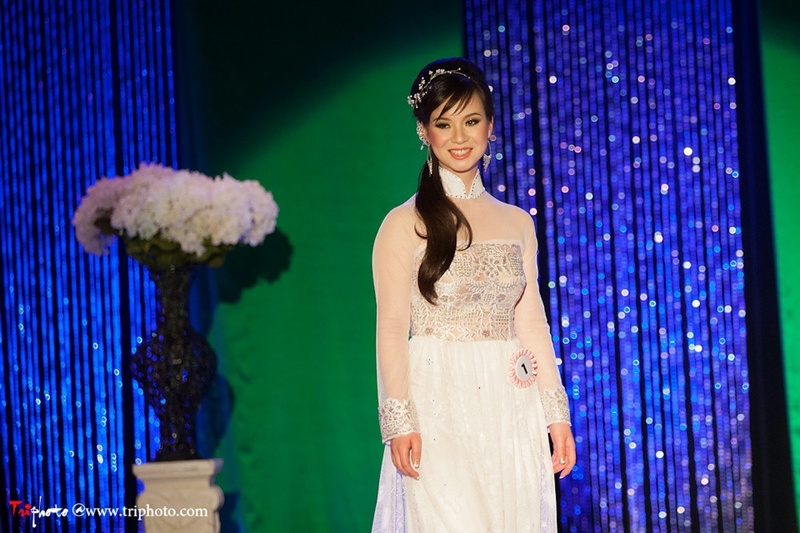 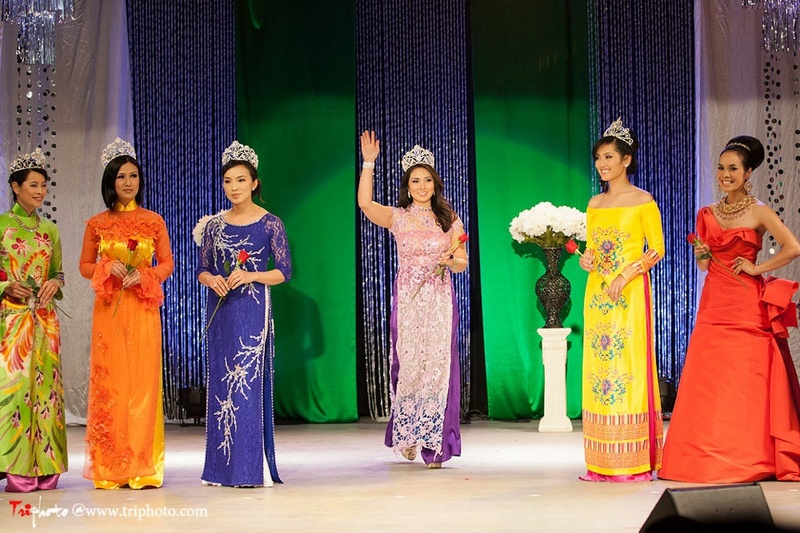 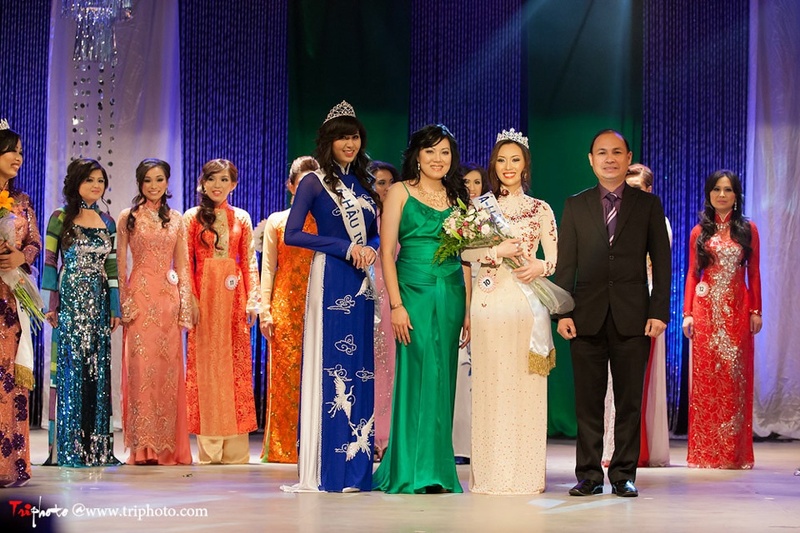 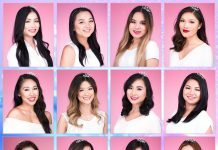 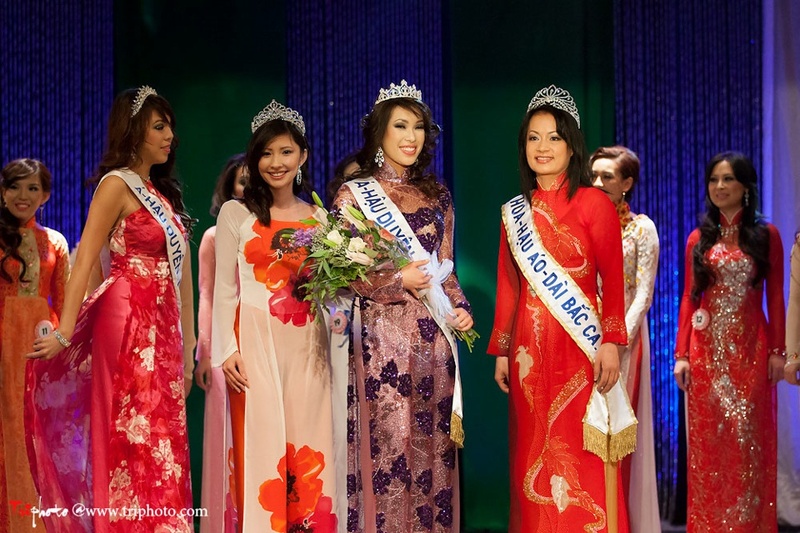 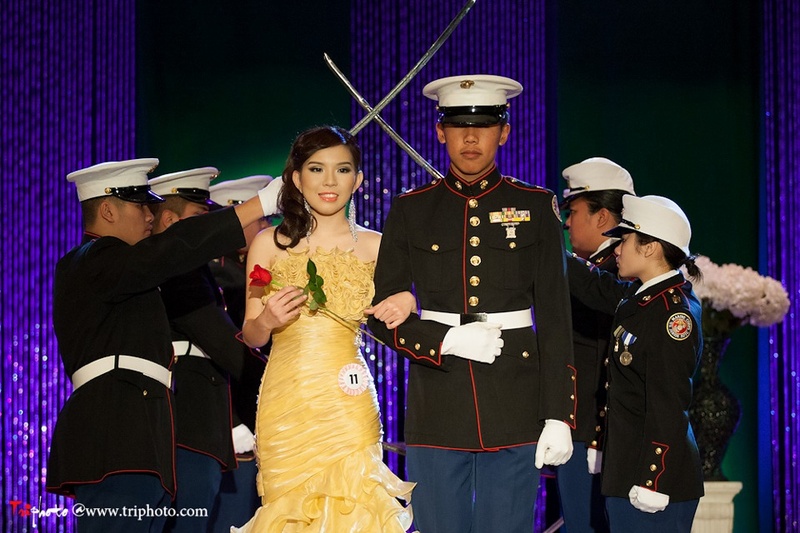 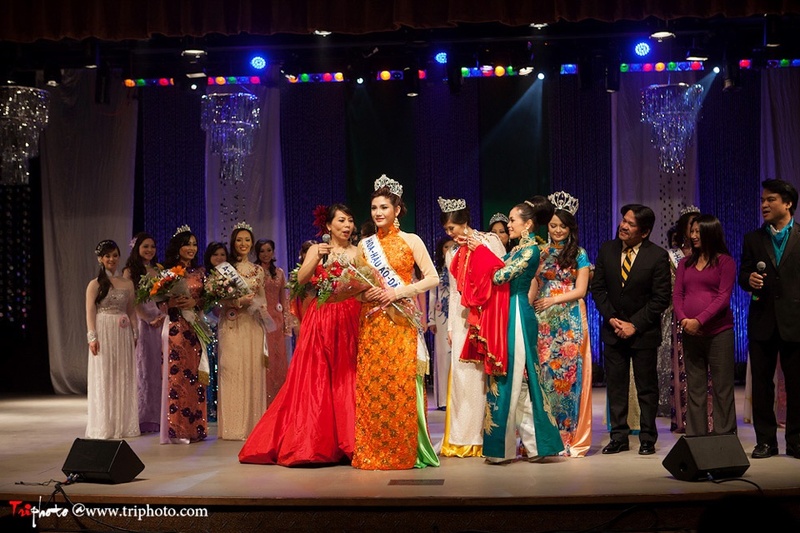 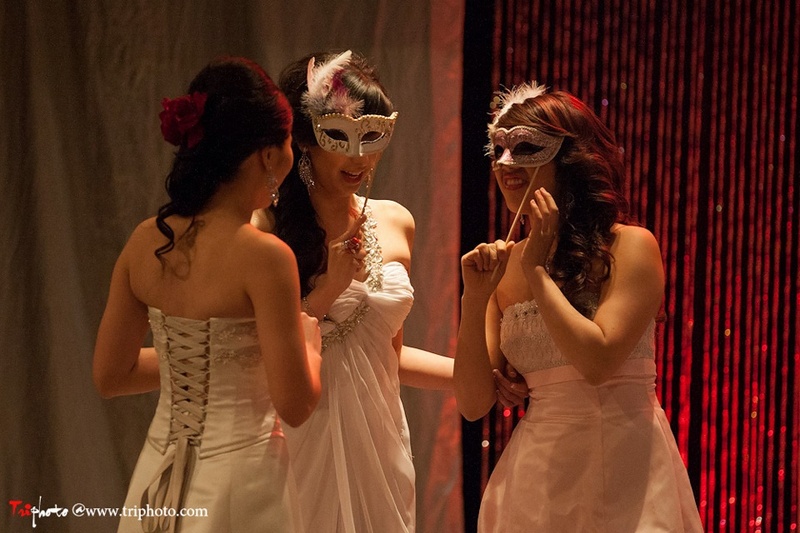 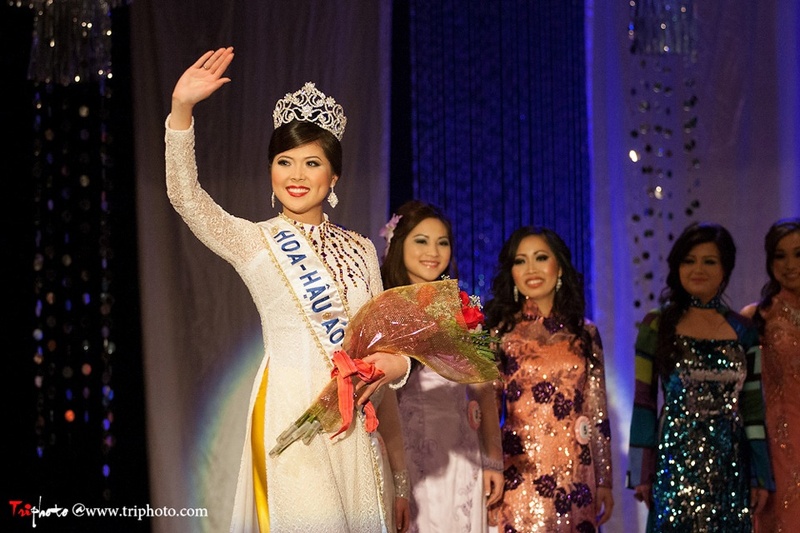 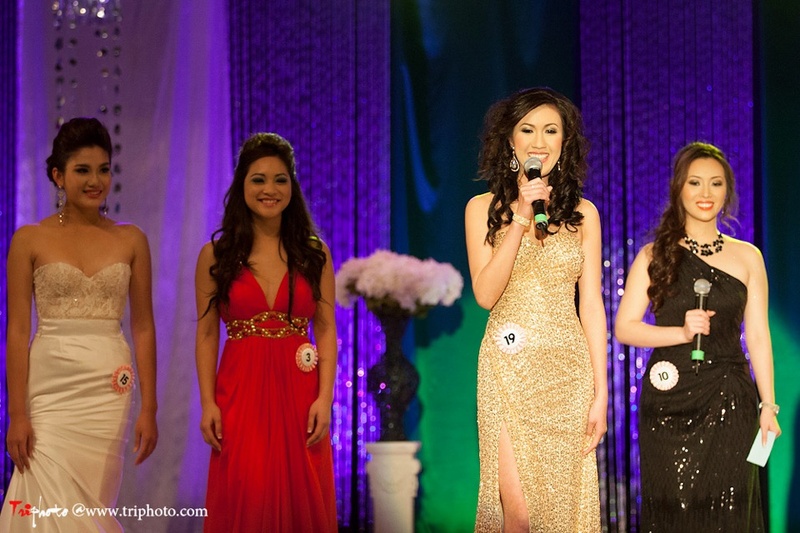 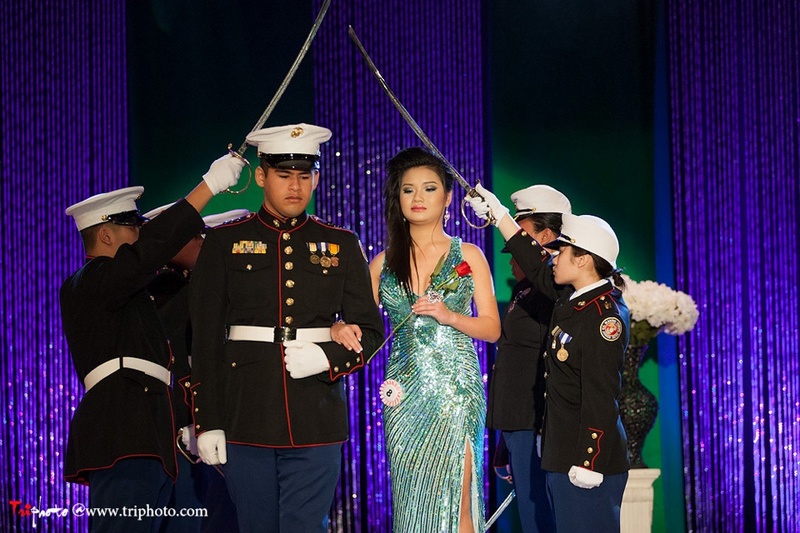 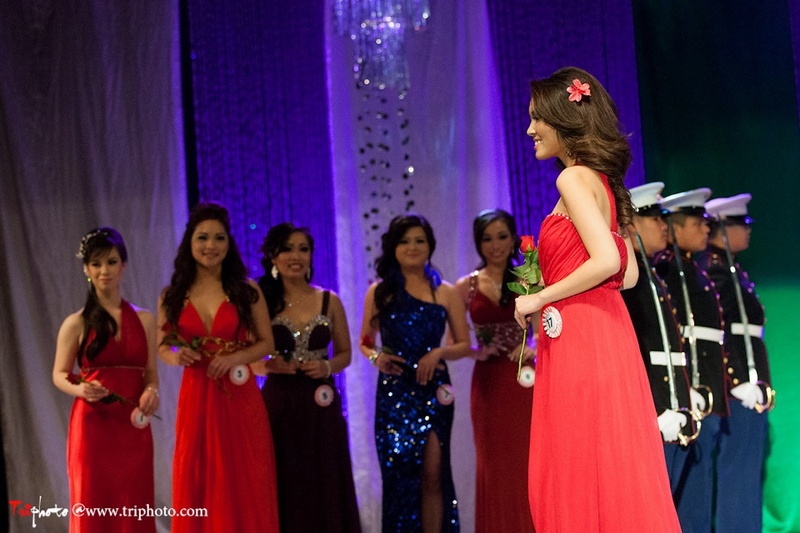 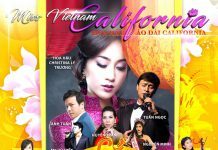 Quynh Phuong (contestant #15) and Lauren Bich Dao(contestant #12) get called up. 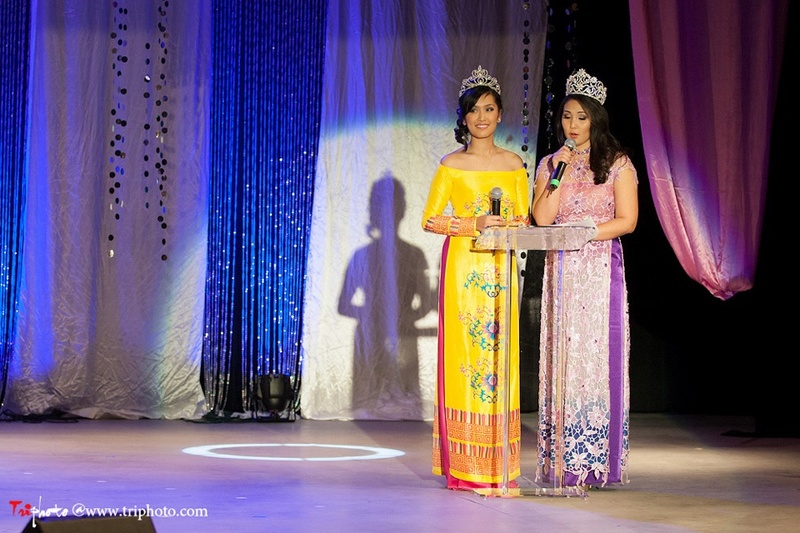 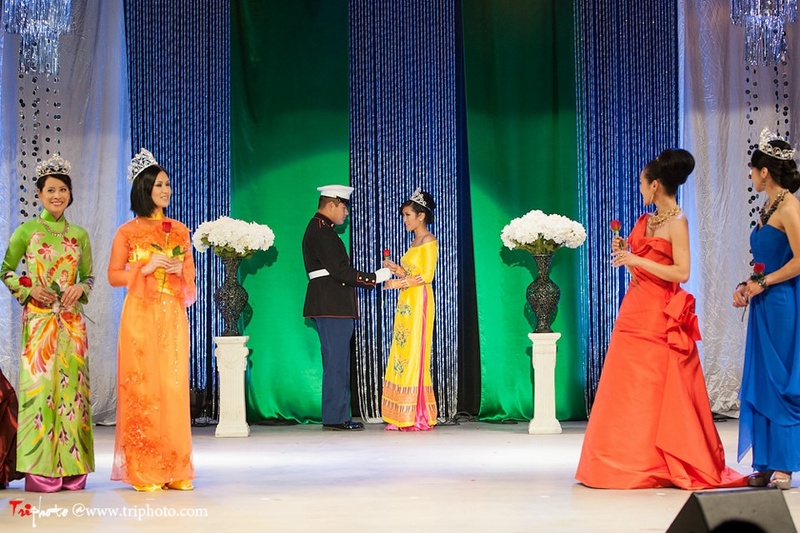 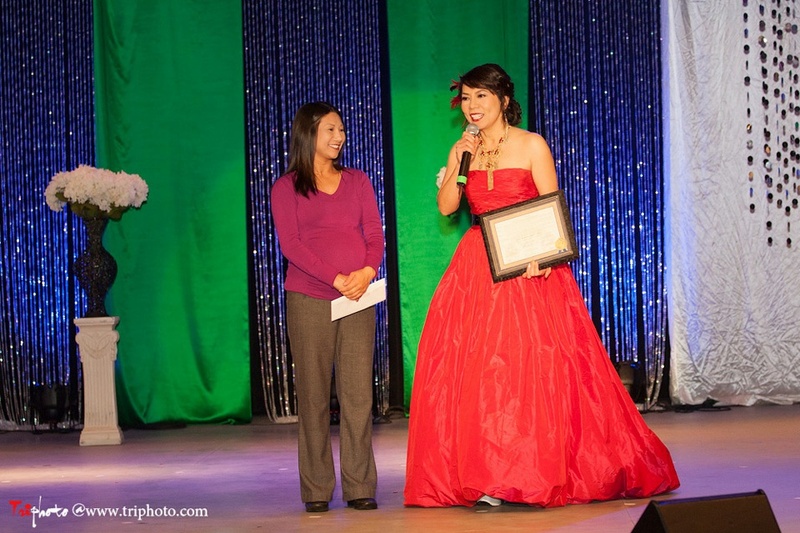 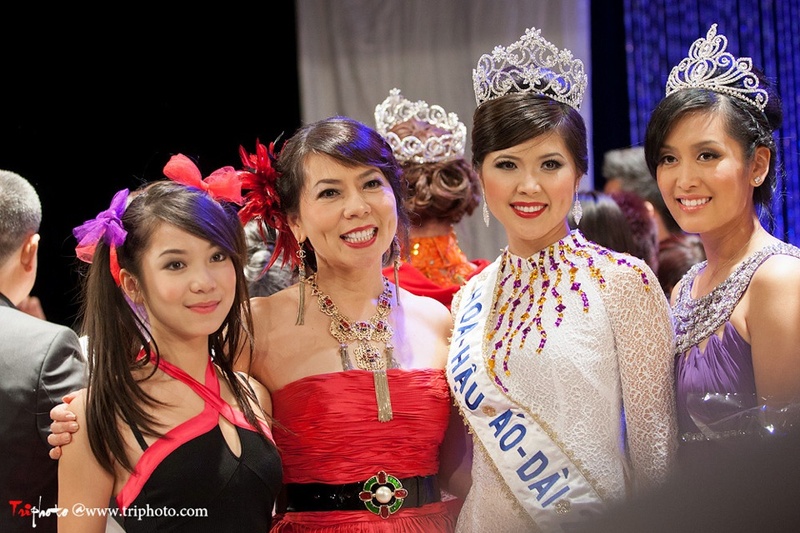 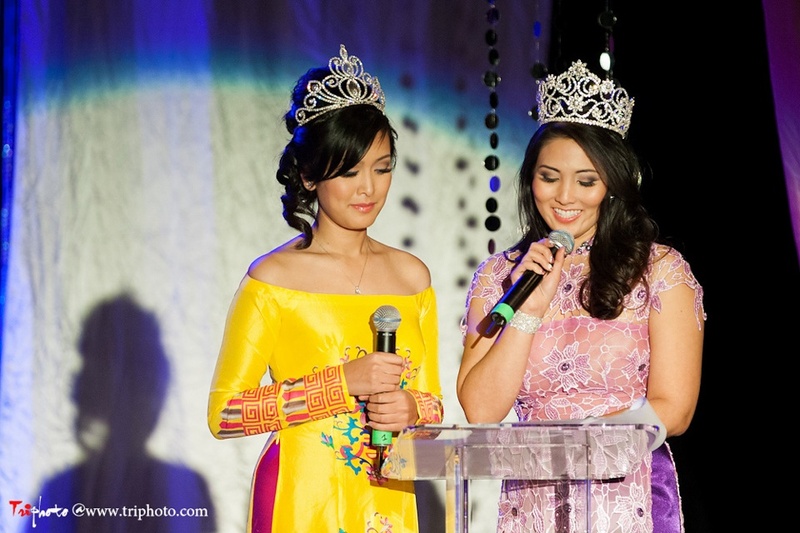 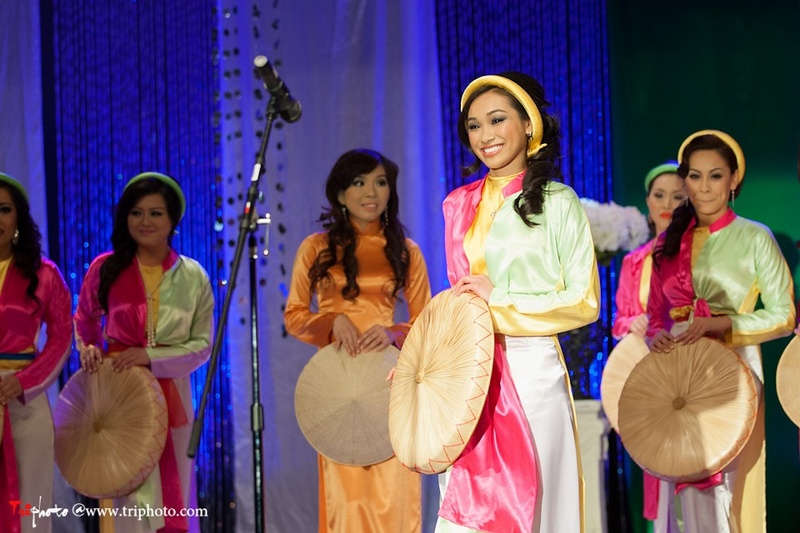 Quynh Phuong (contestant #15) and Lauren Bich Dao(contestant #12) wait patiently to find out who is this year’s Hoa-Hau Ao-Dai 2012. 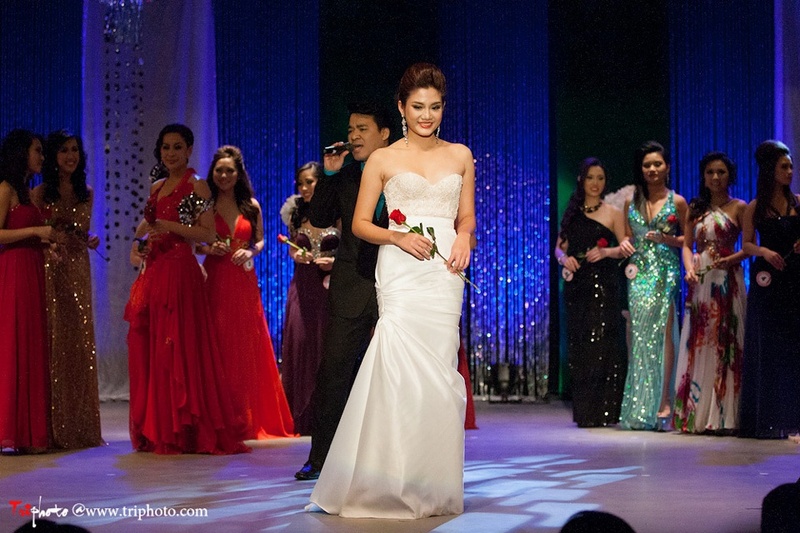 Contestant registration has officially closed for the 2016 pageant.